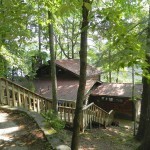 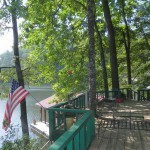 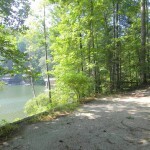 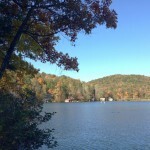 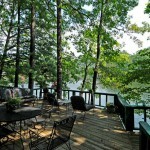 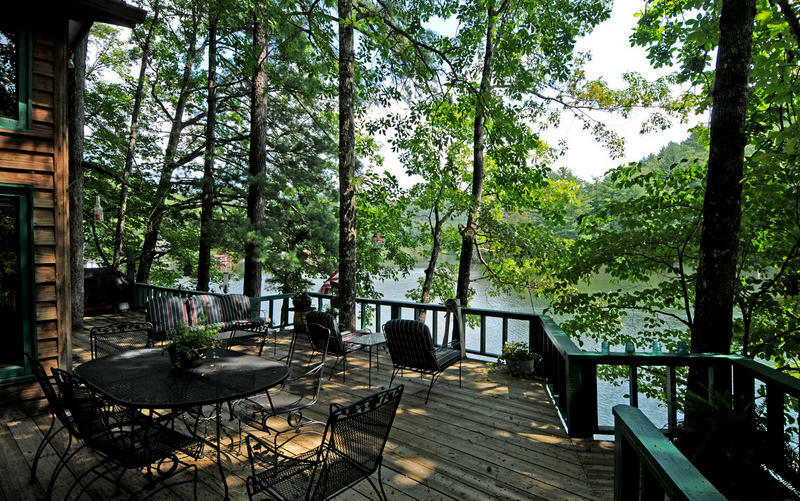 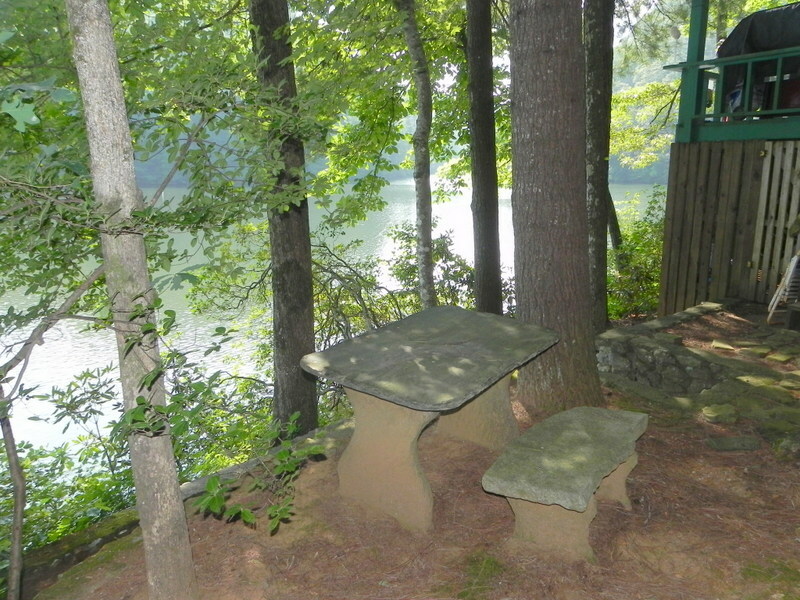 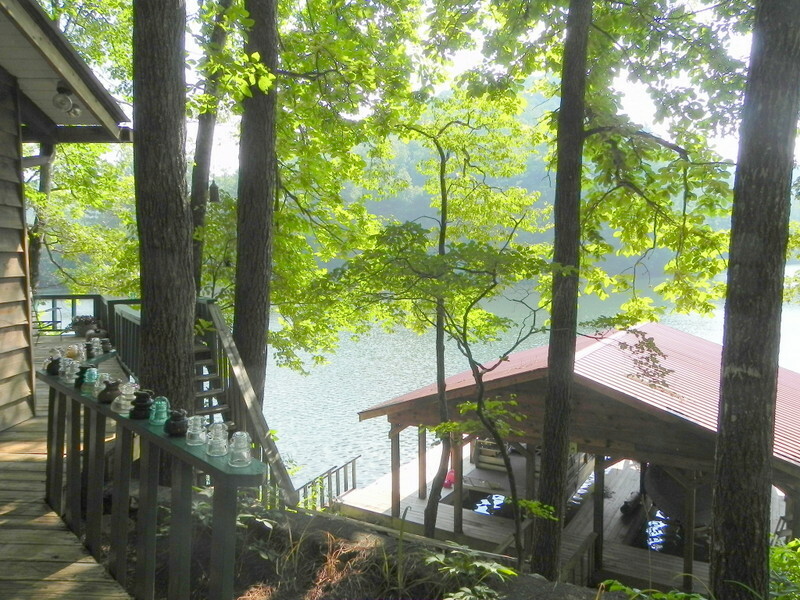 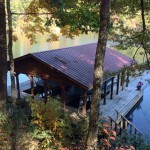 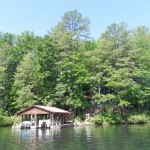 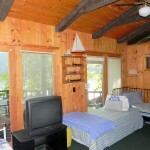 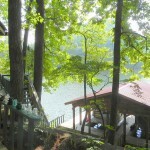 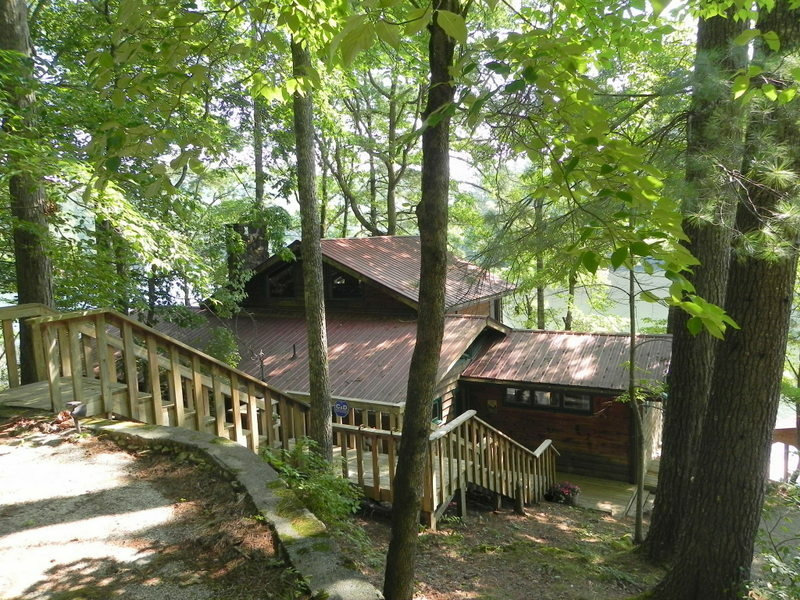 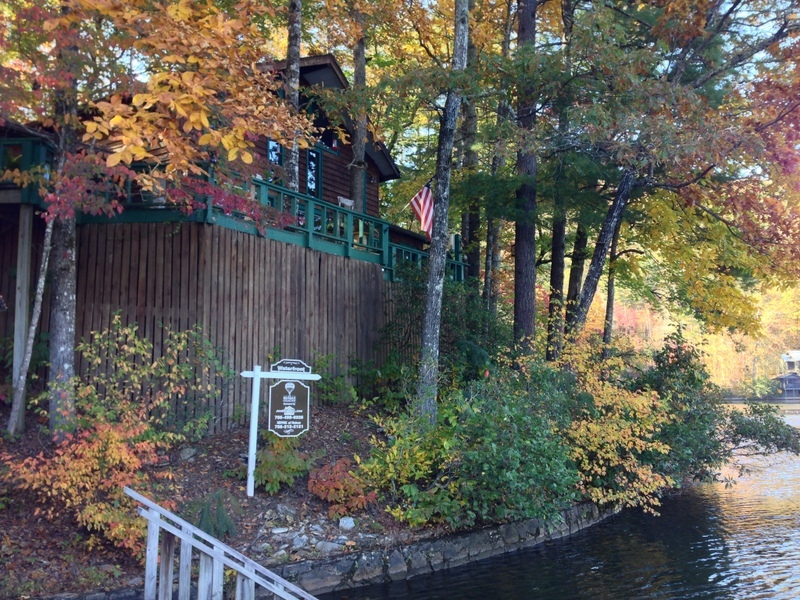 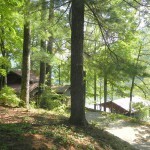 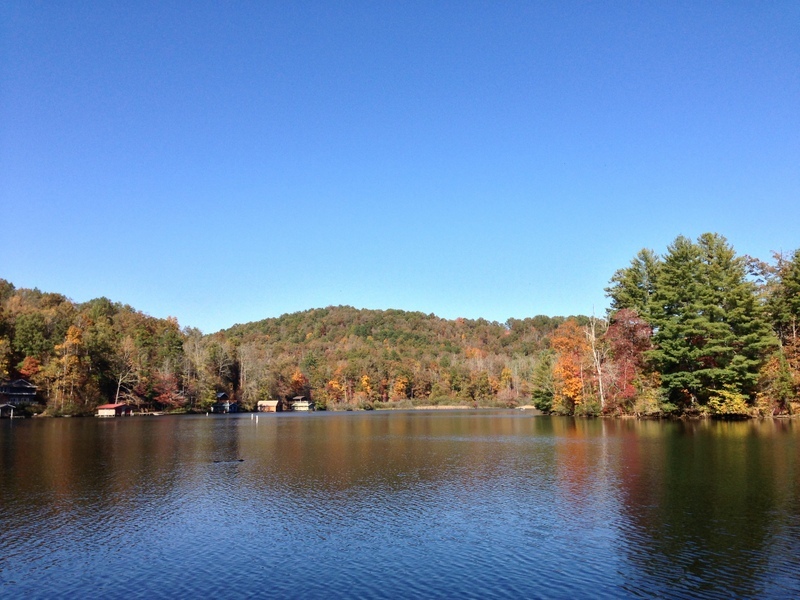 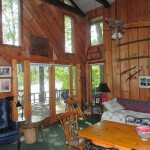 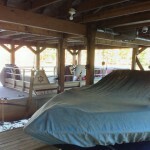 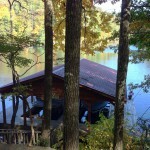 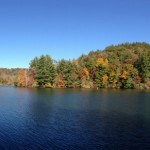 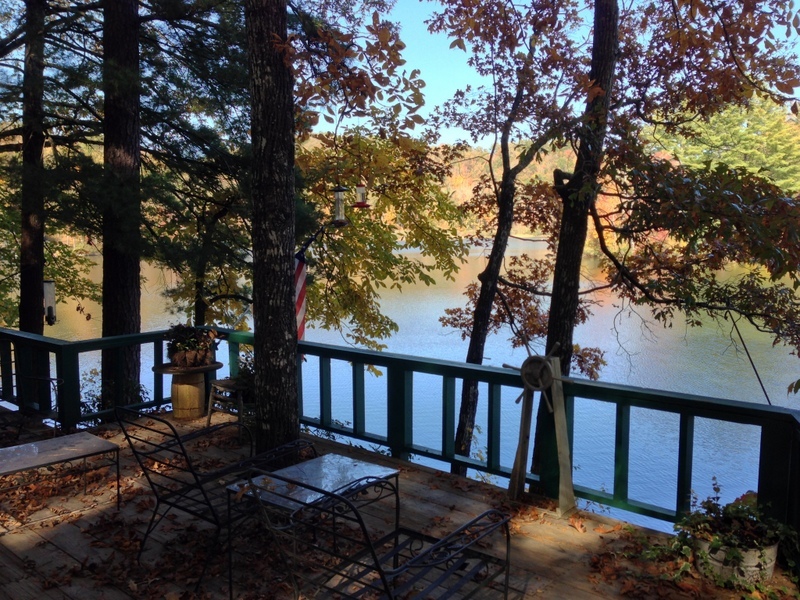 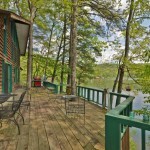 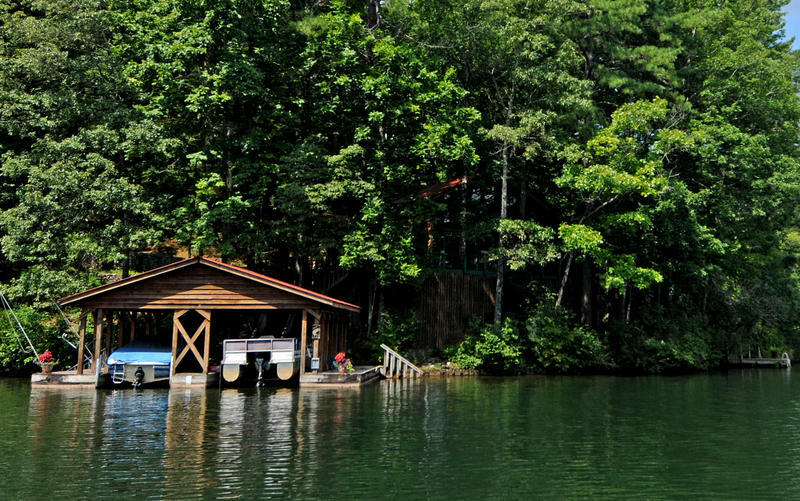 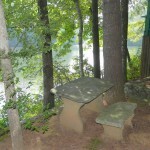 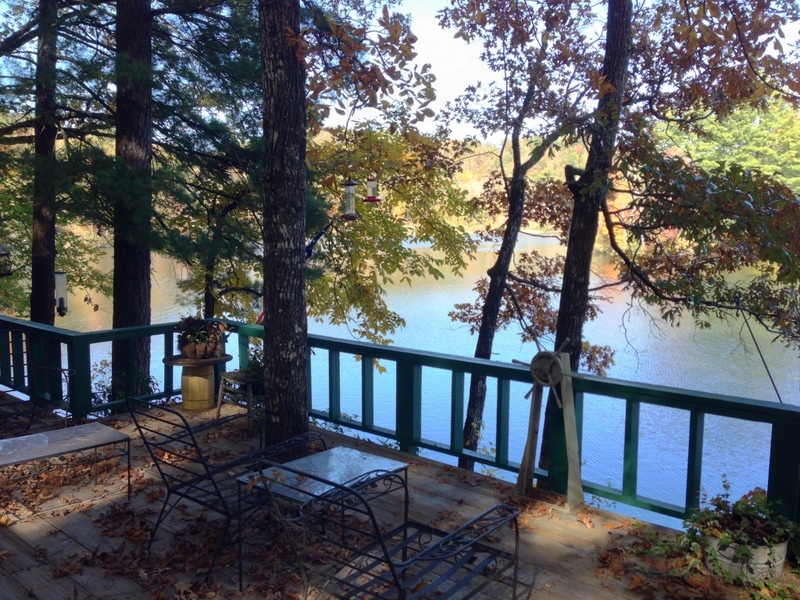 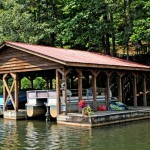 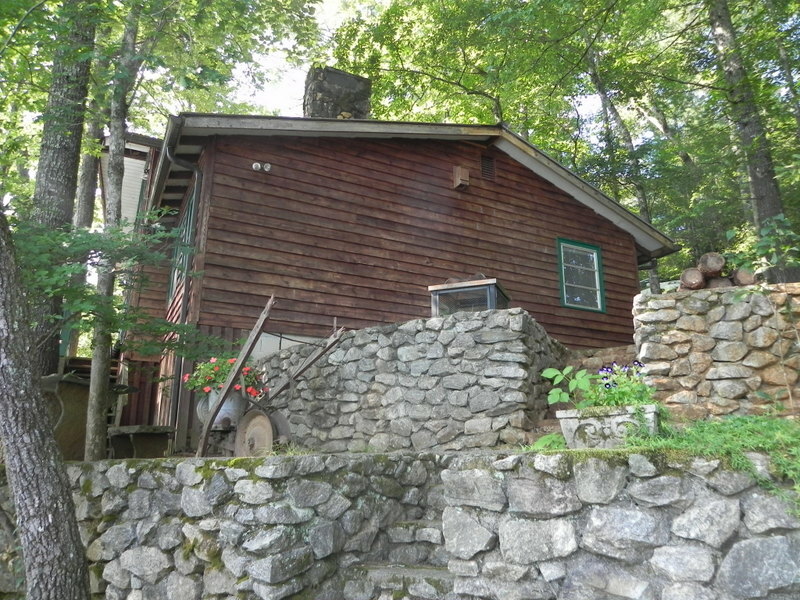 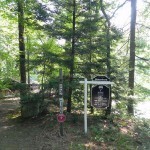 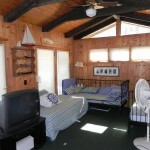 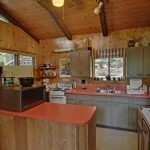 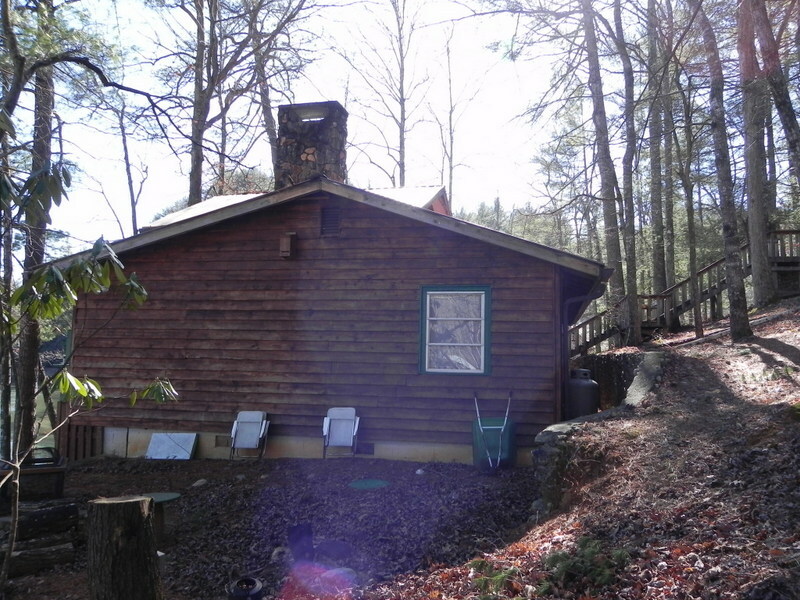 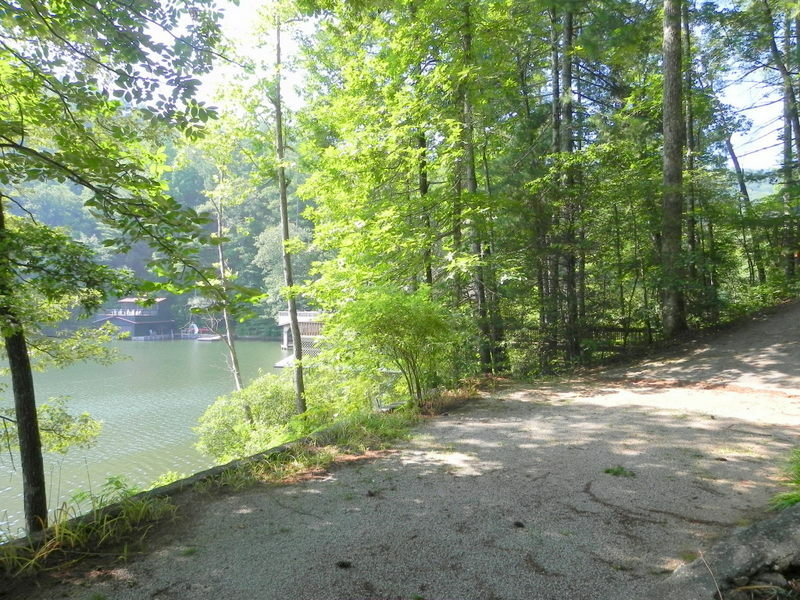 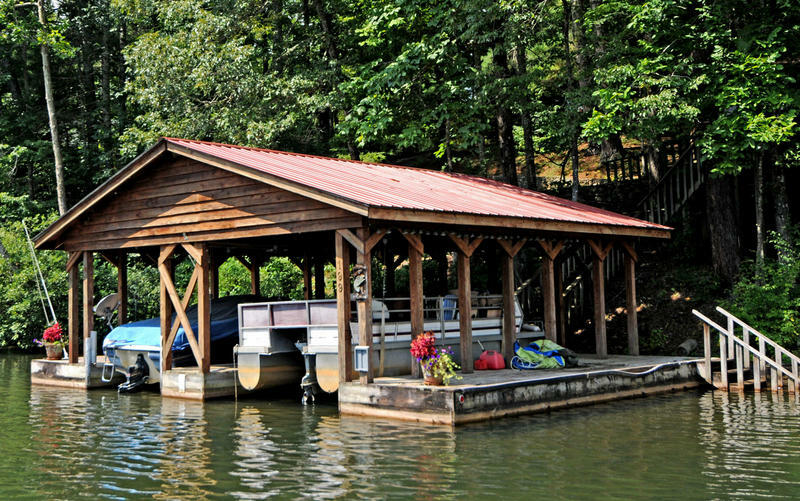 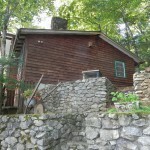 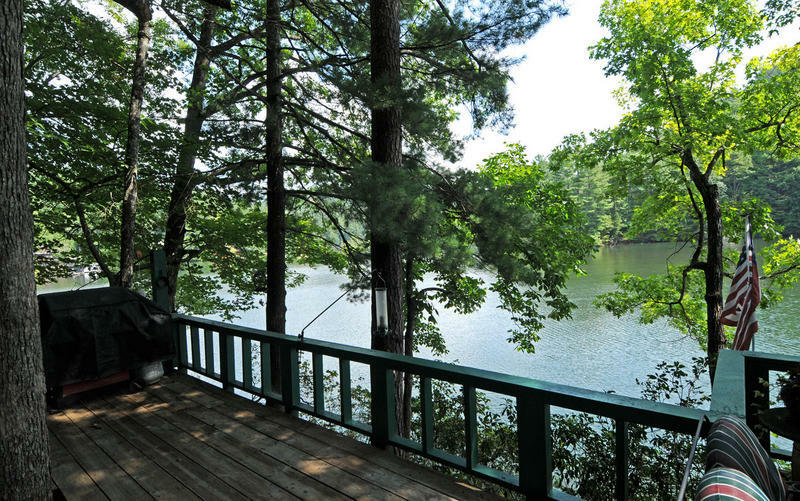 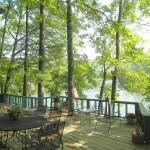 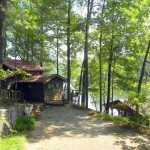 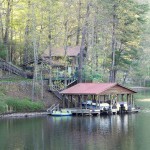 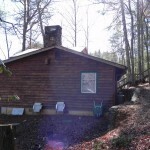 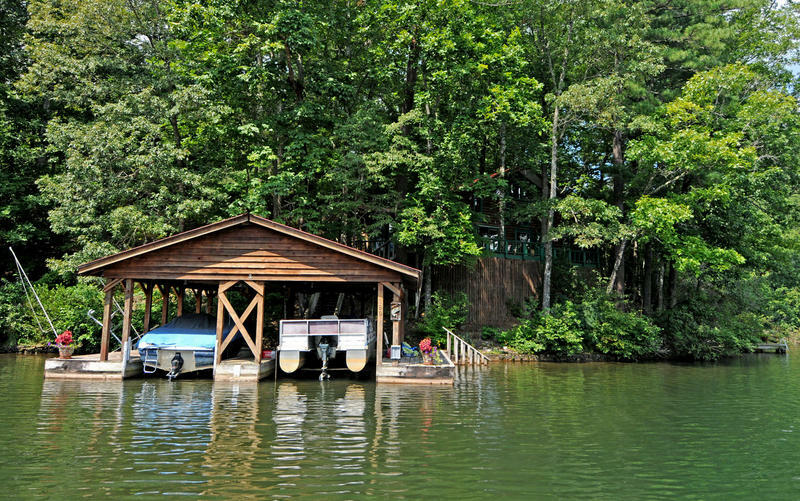 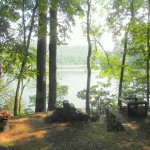 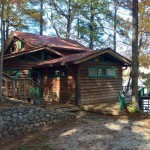 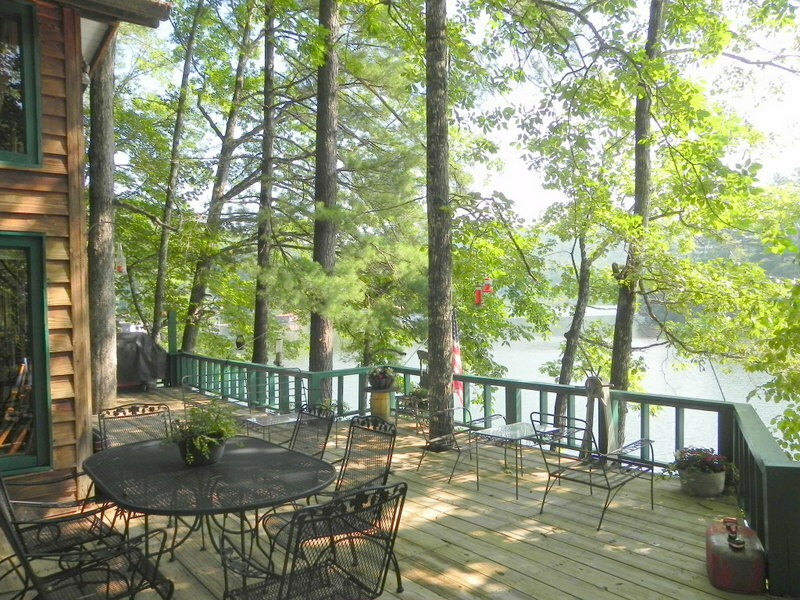 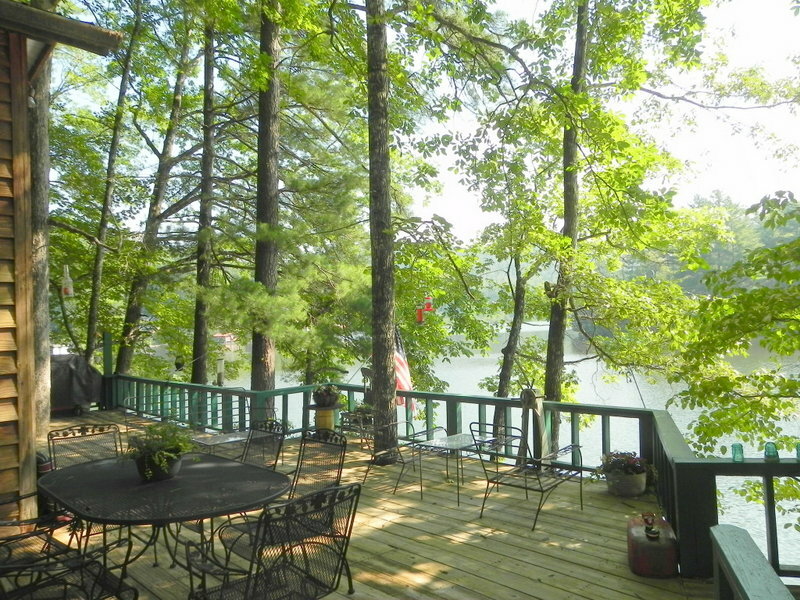 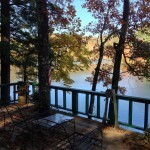 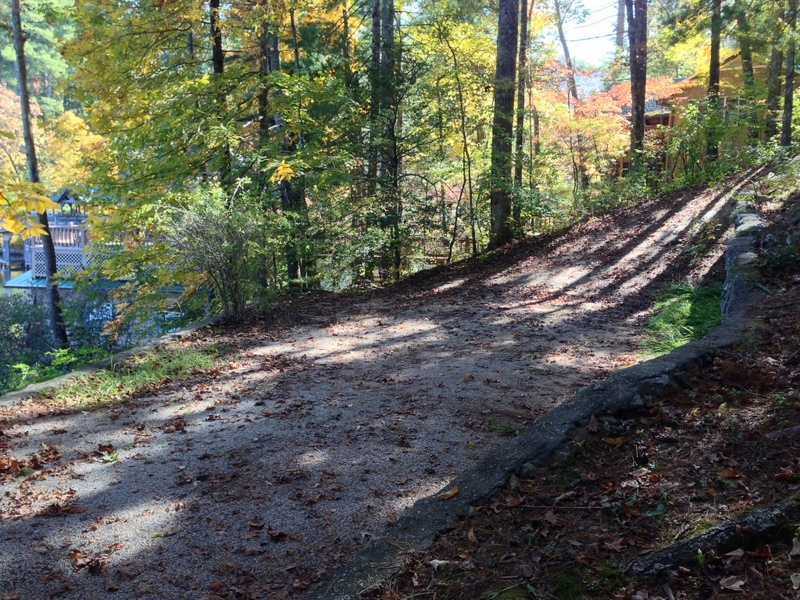 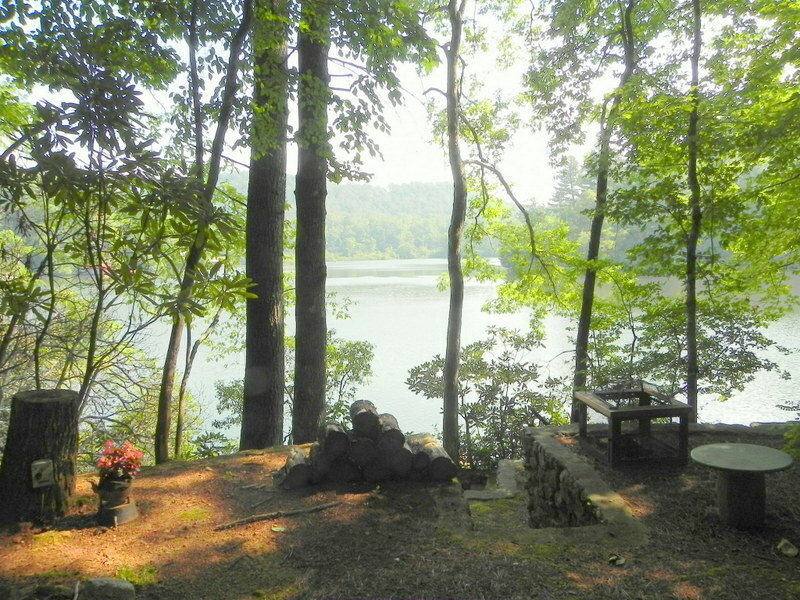 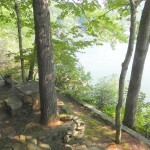 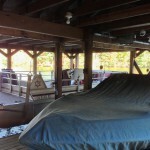 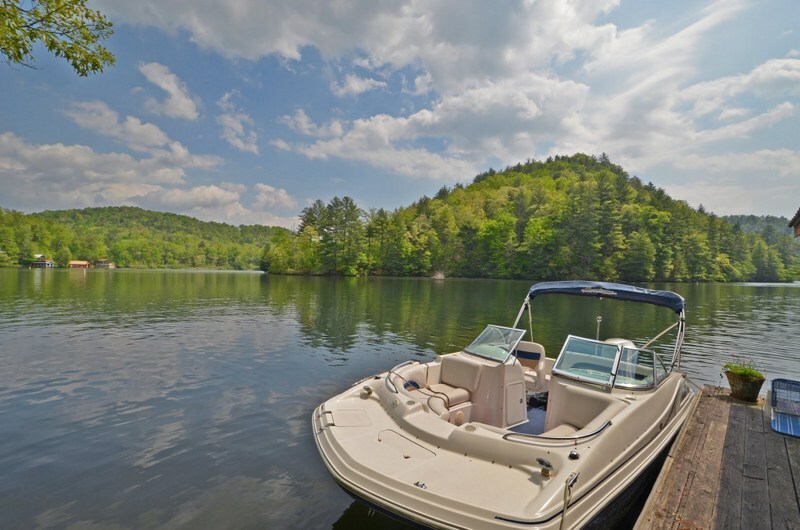 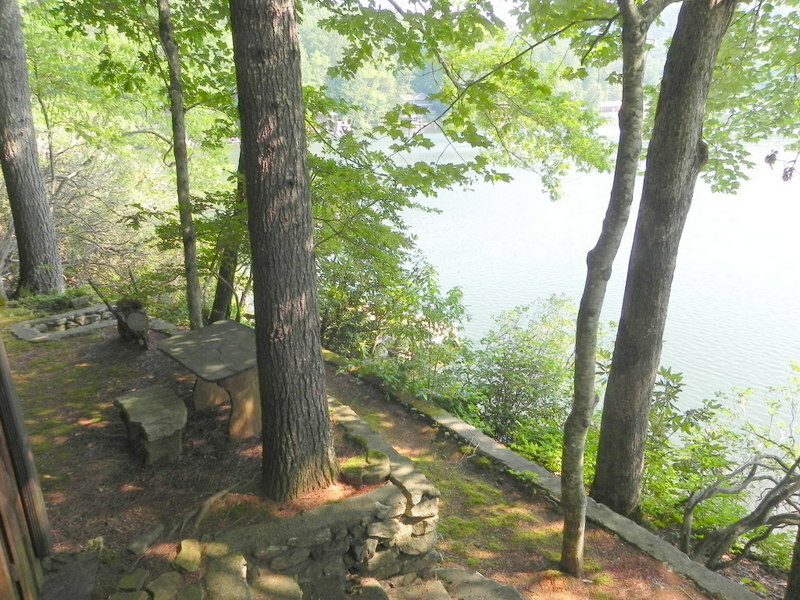 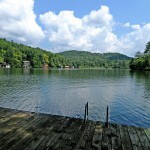 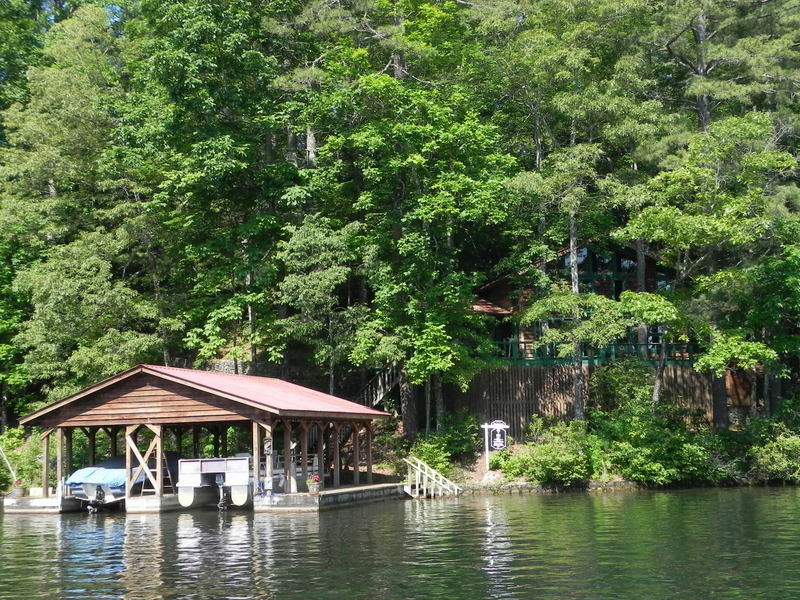 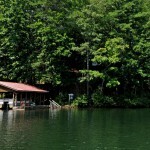 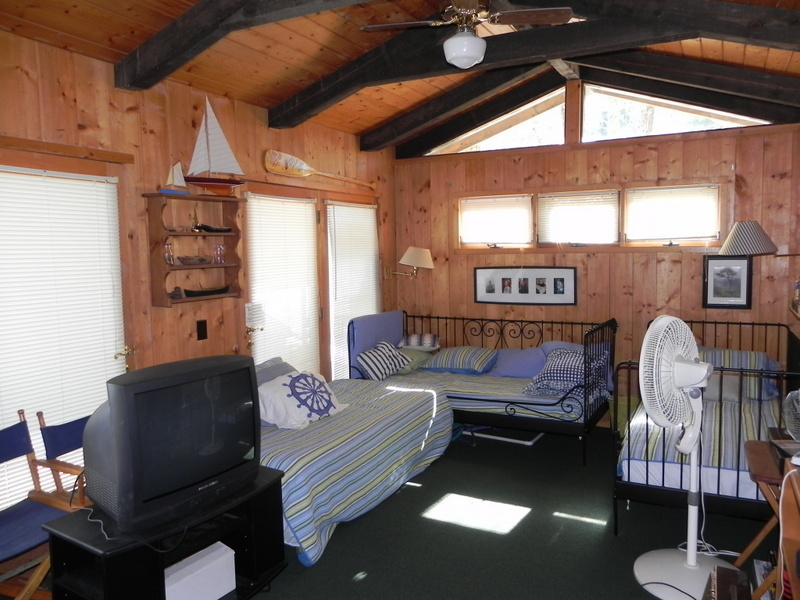 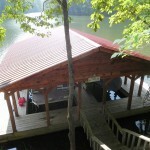 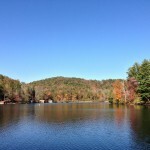 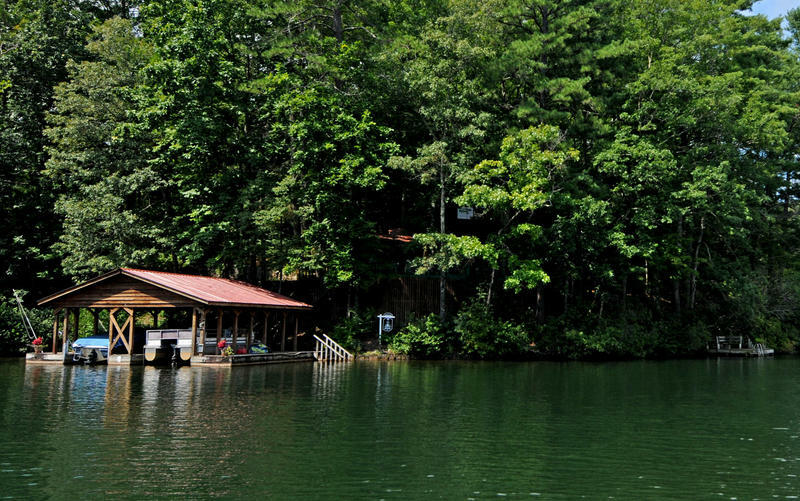 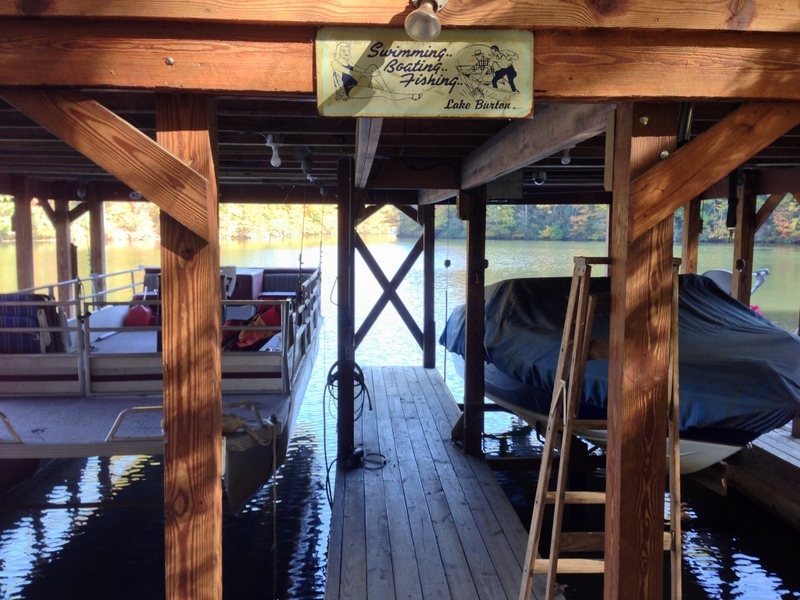 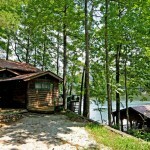 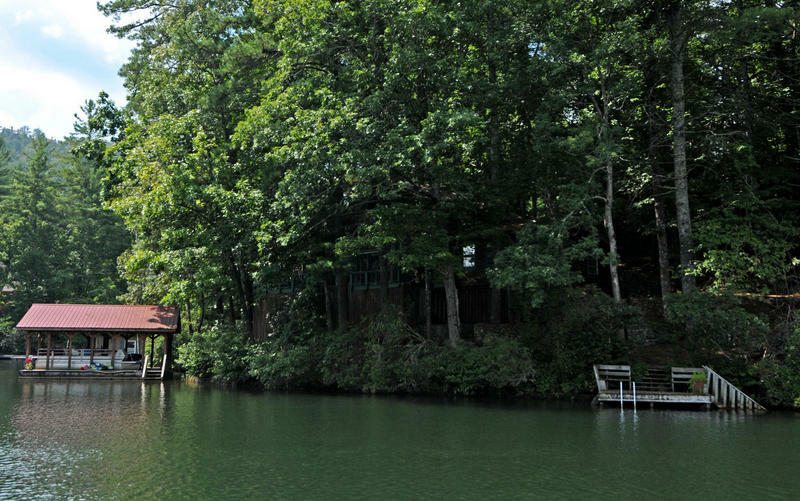 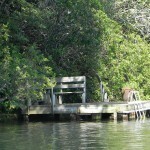 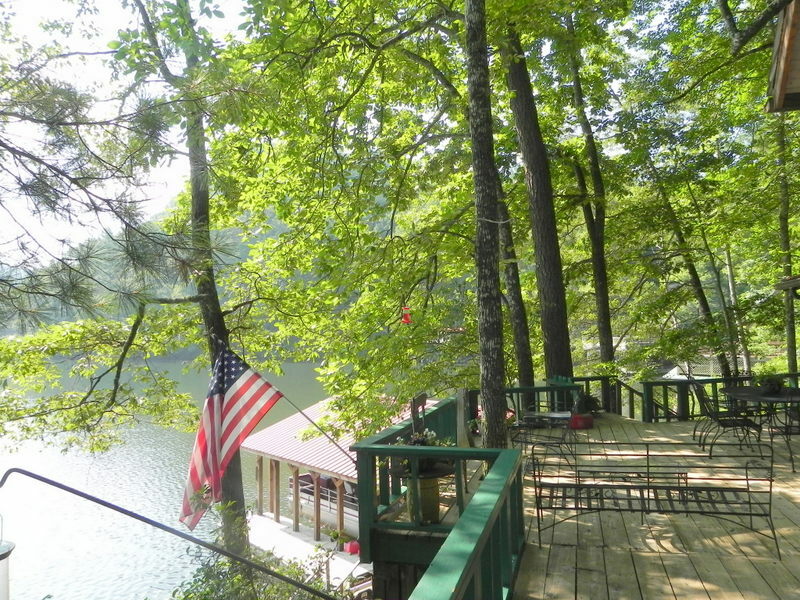 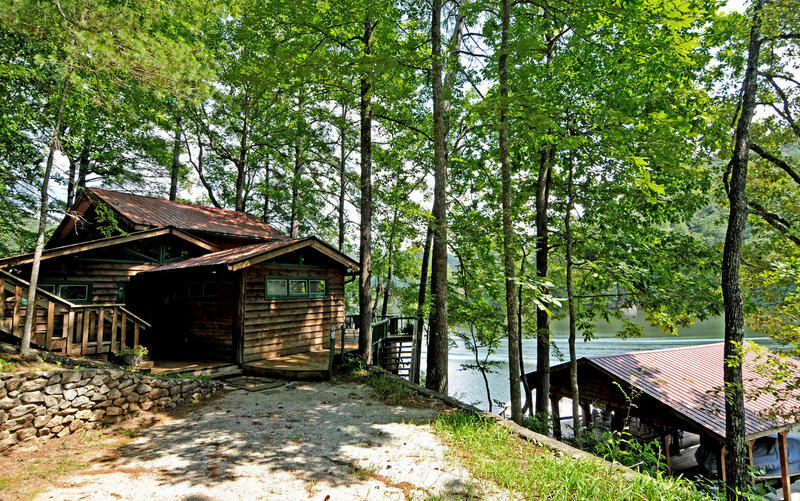 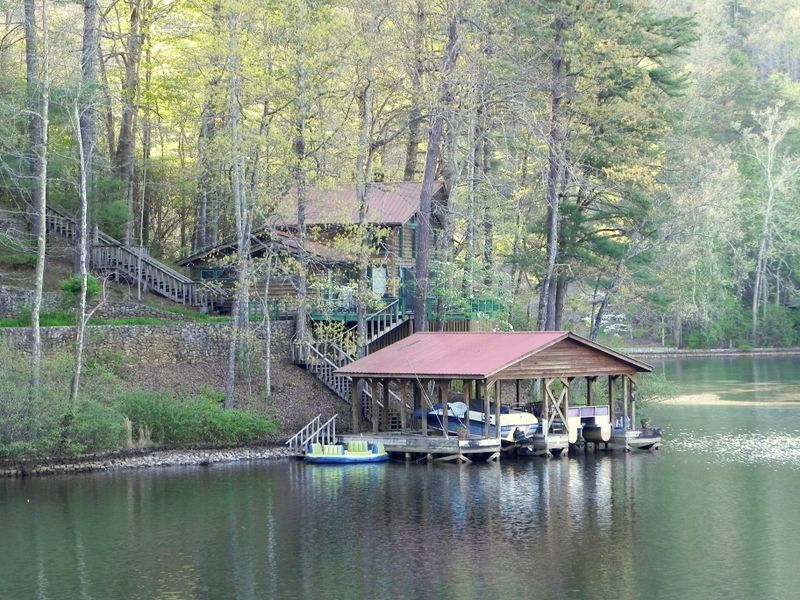 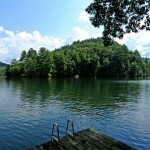 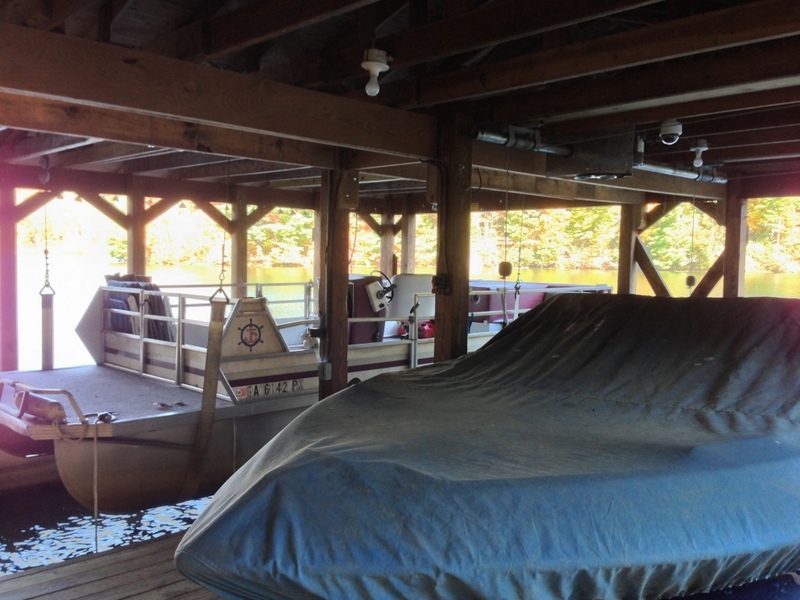 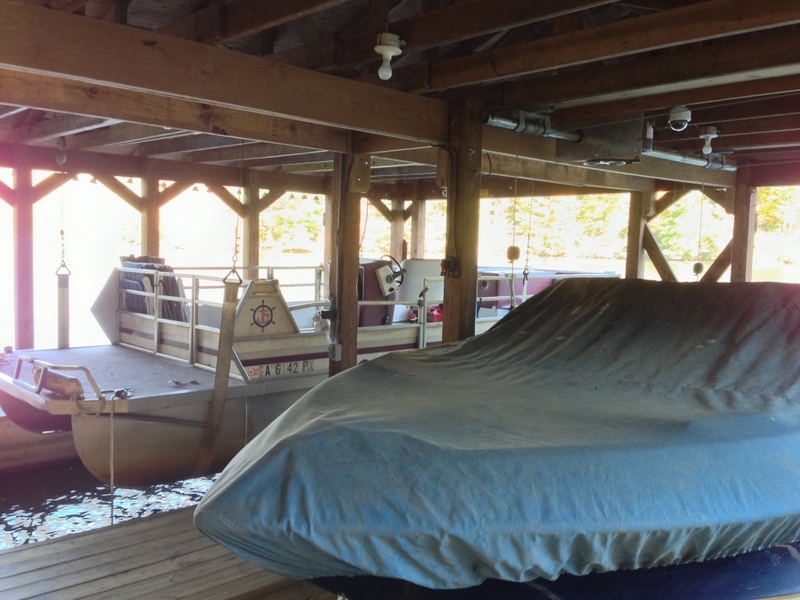 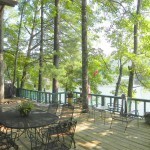 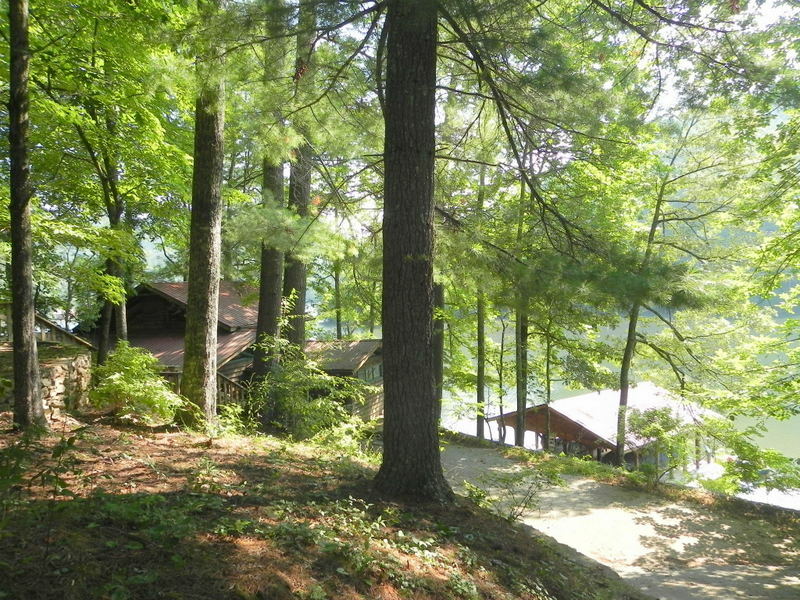 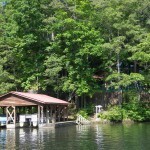 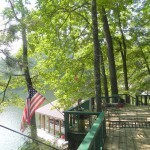 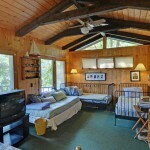 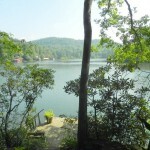 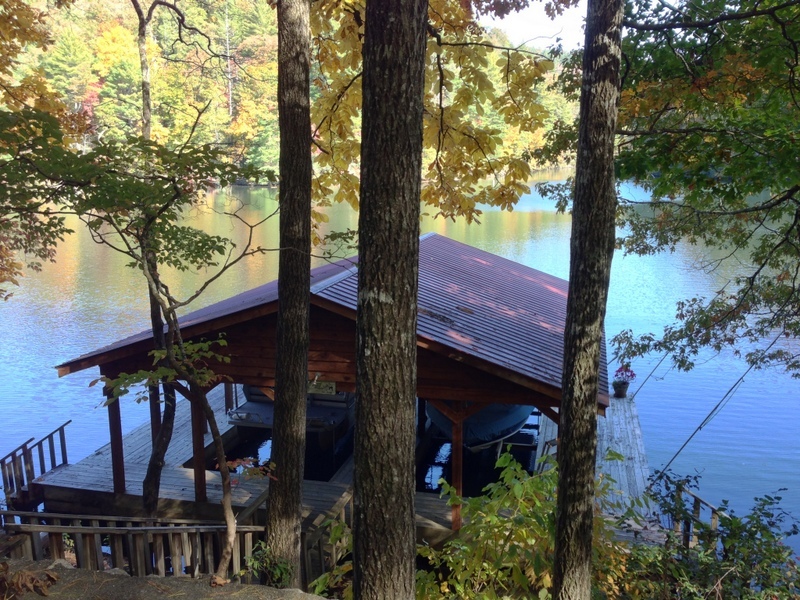 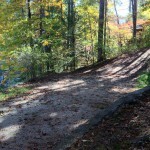 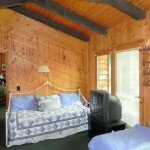 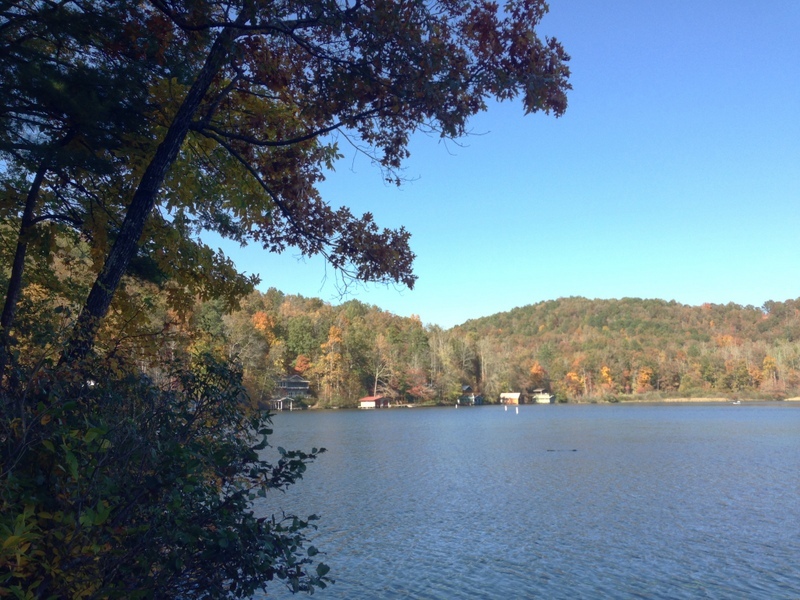 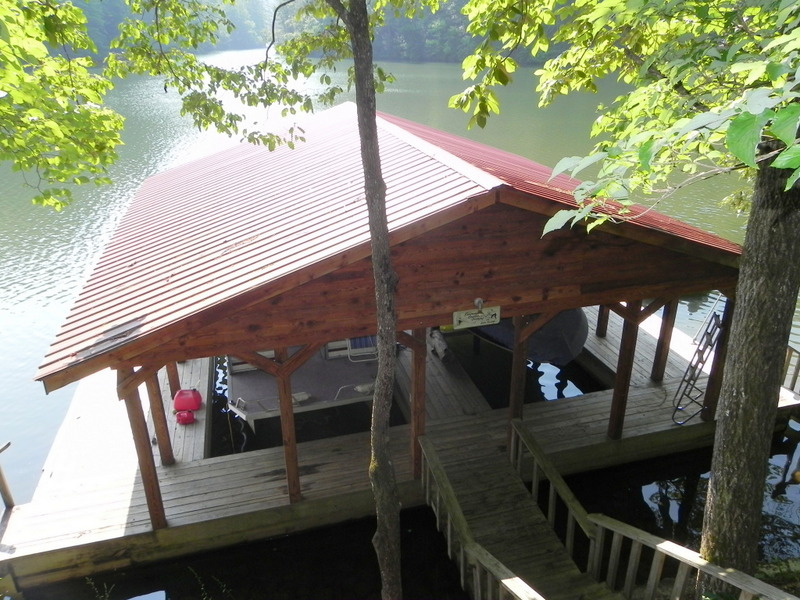 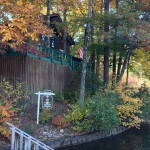 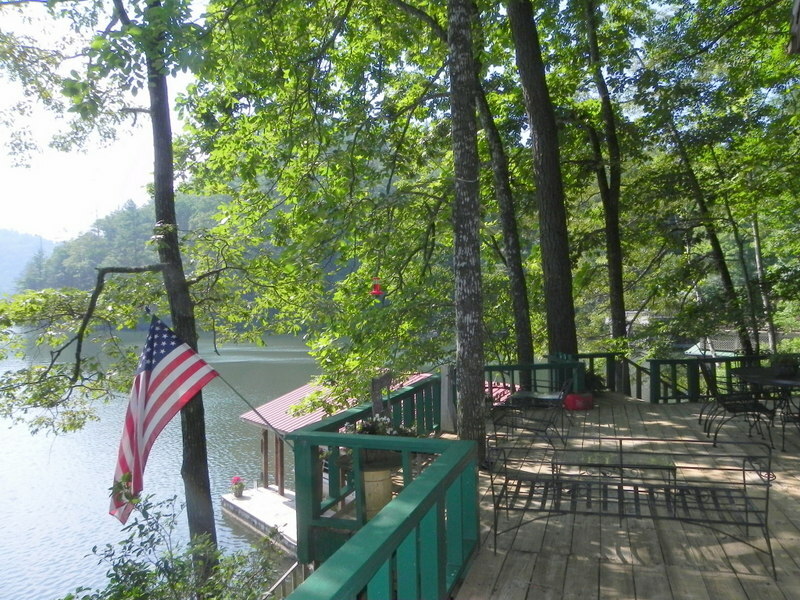 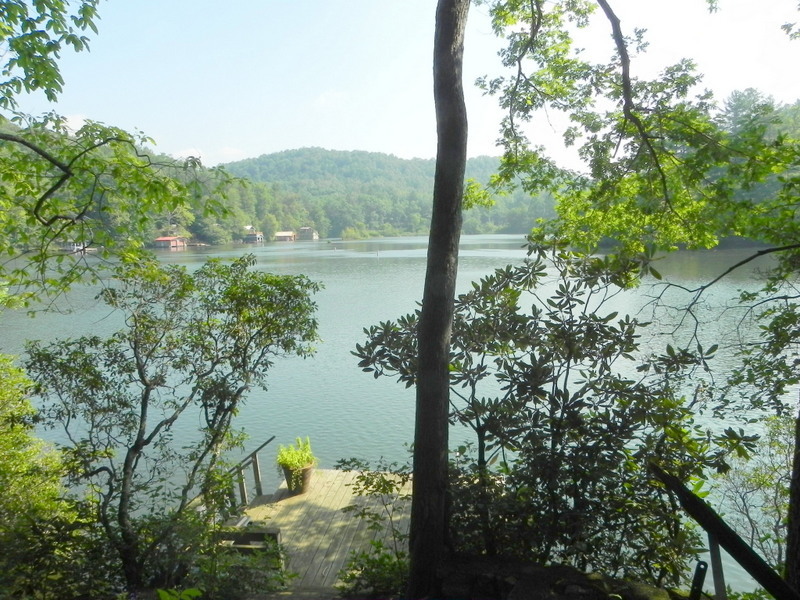 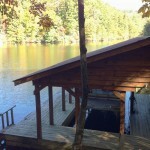 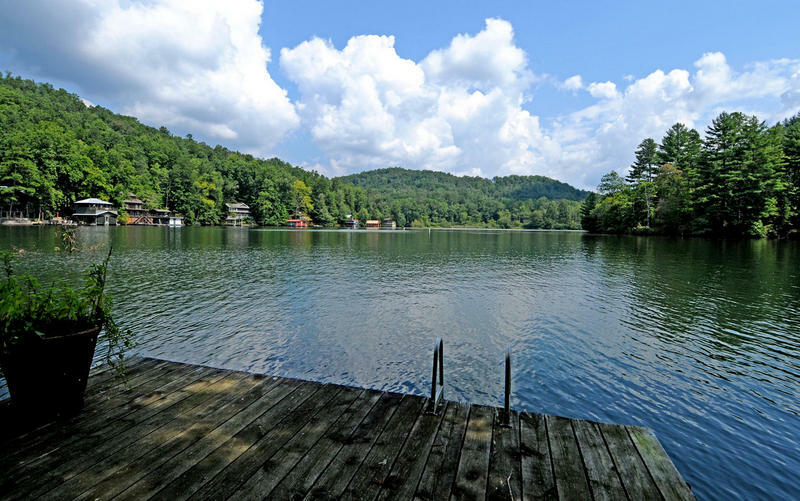 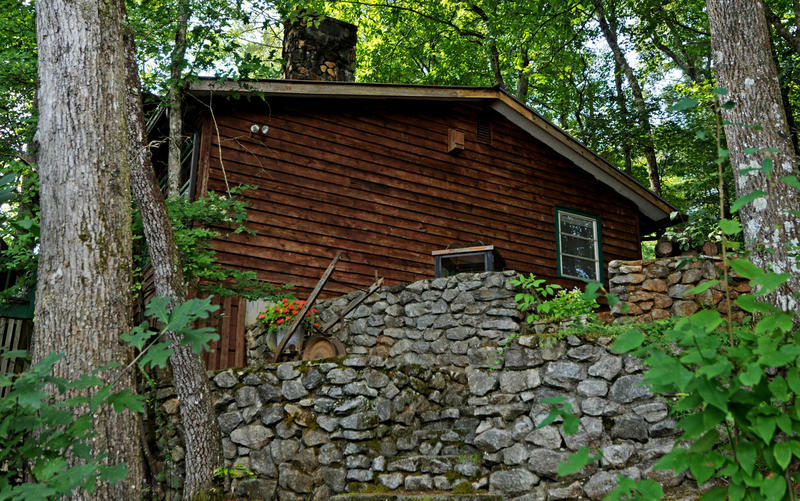 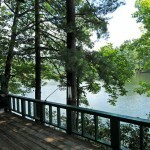 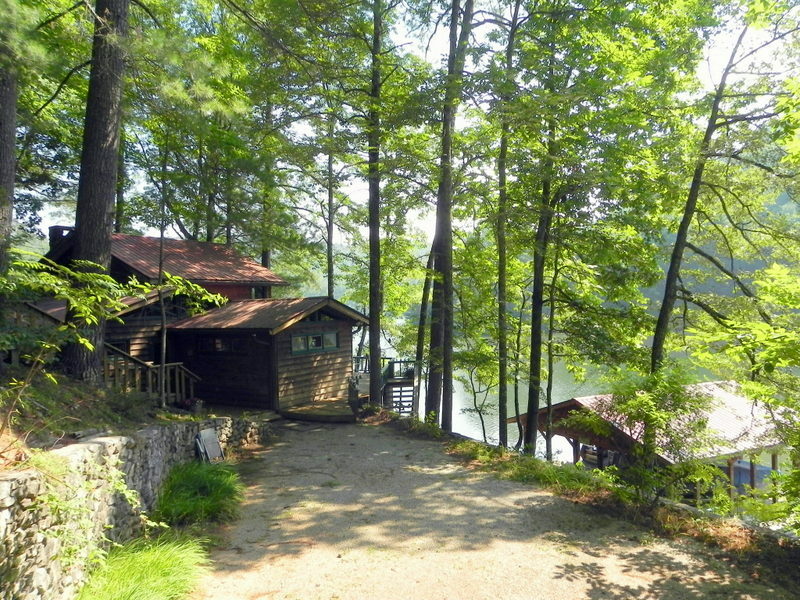 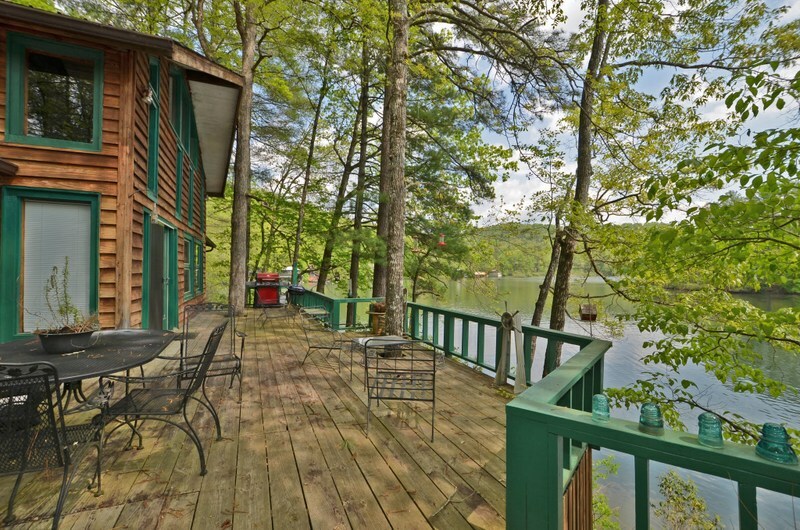 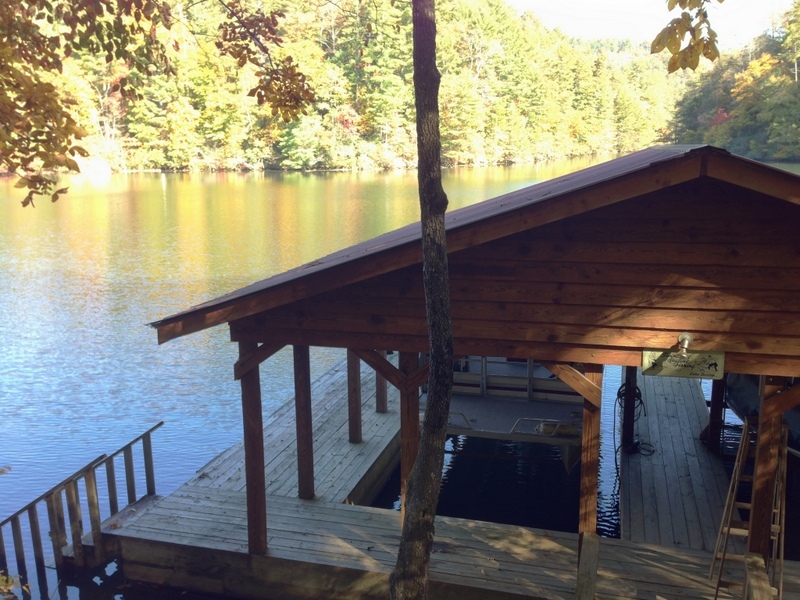 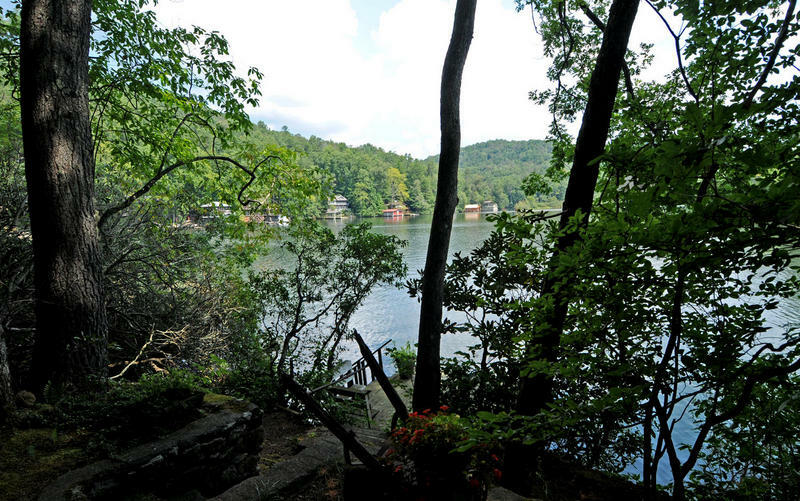 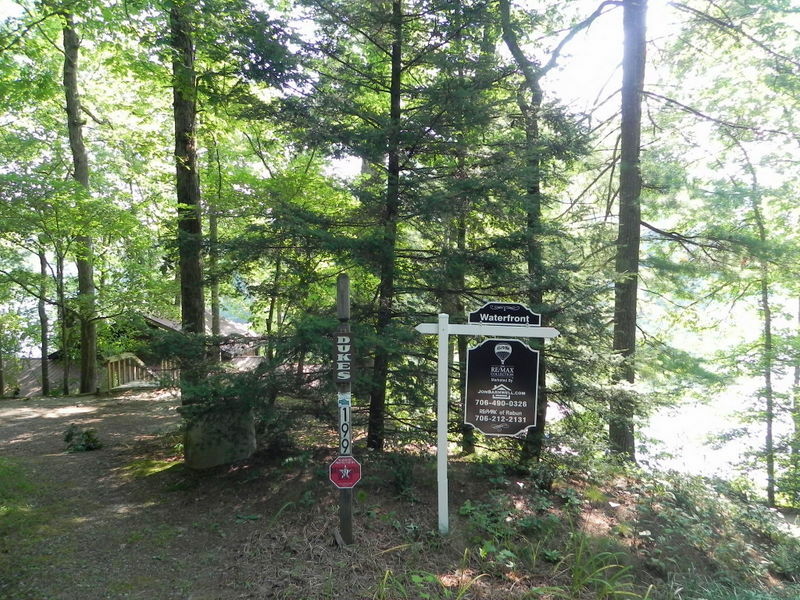 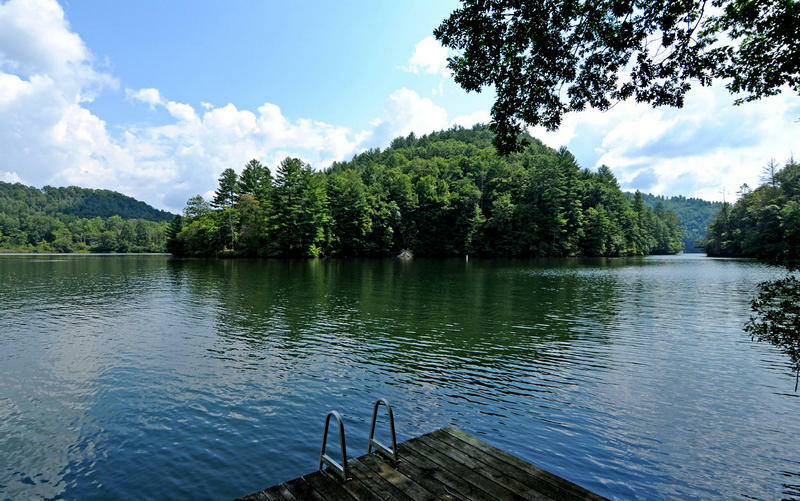 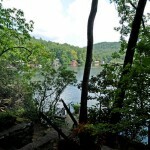 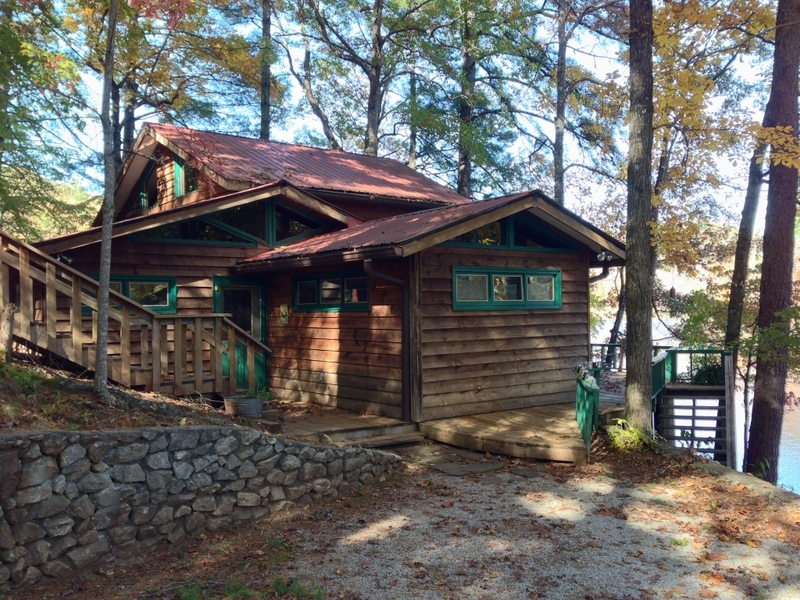 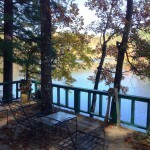 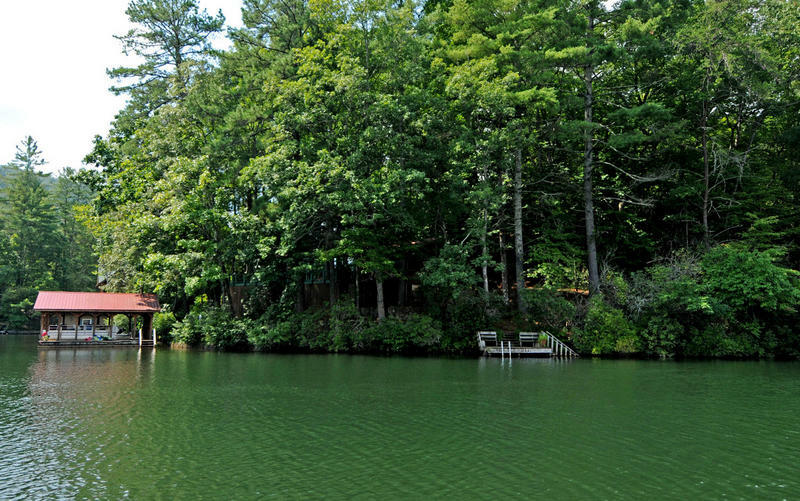 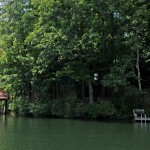 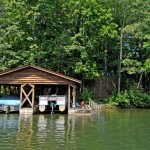 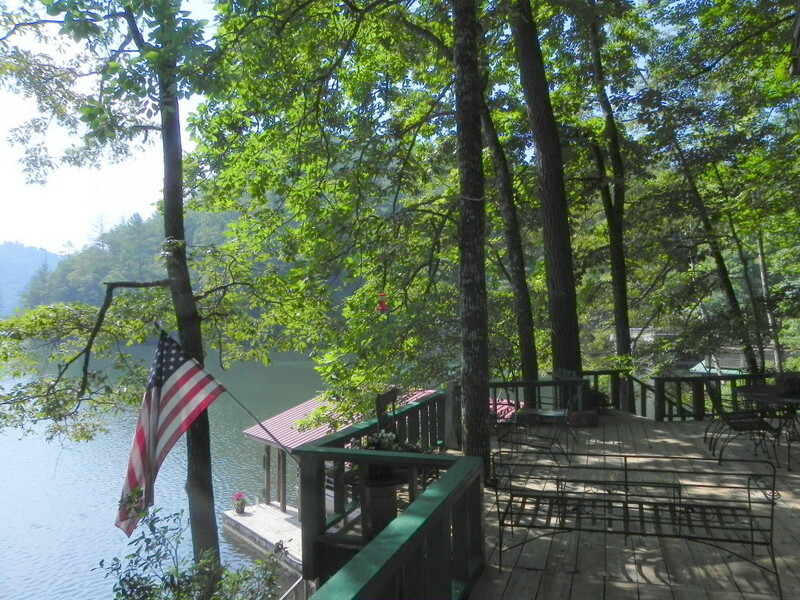 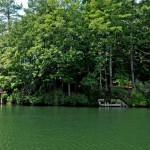 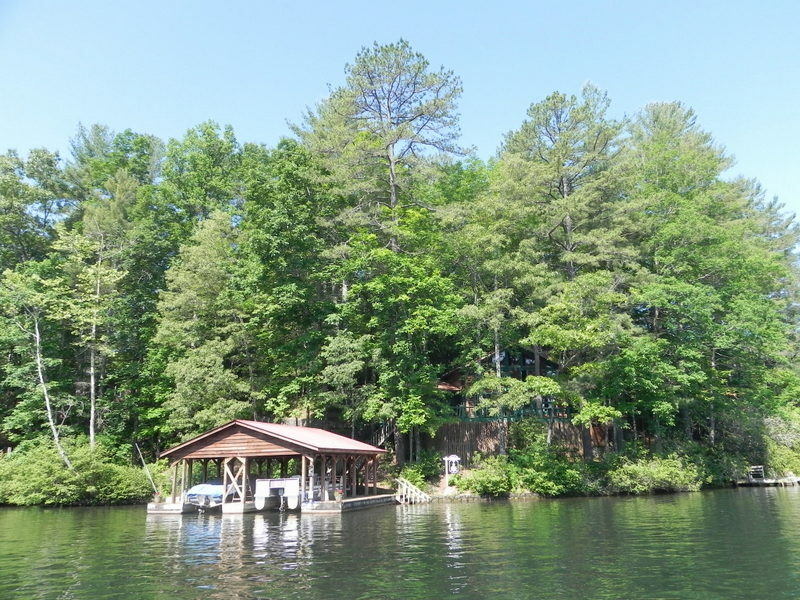 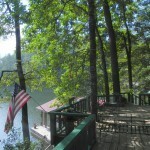 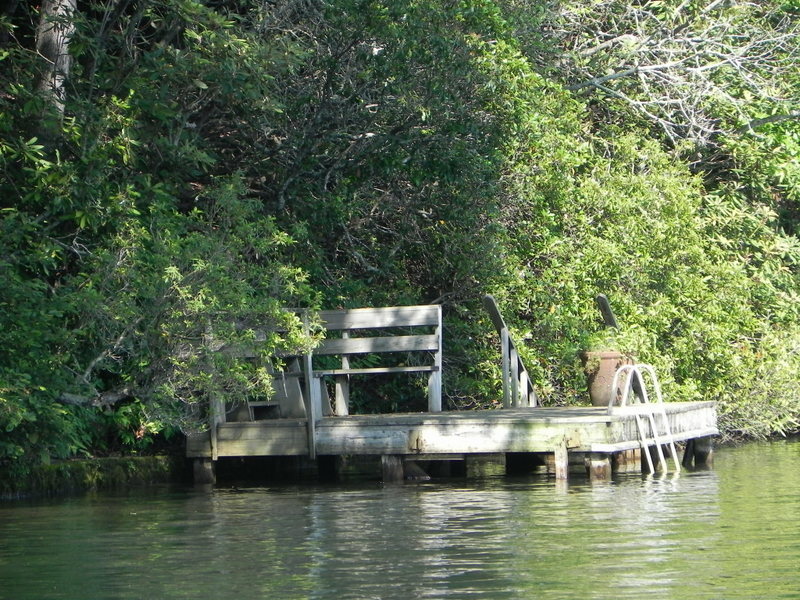 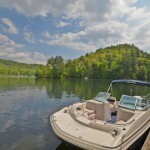 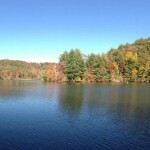 Lakeside three-bedroom, two bath home with over 250′ of point lot frontage, seawall, boathouse, and separate swim dock. 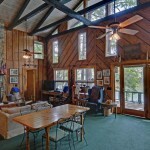 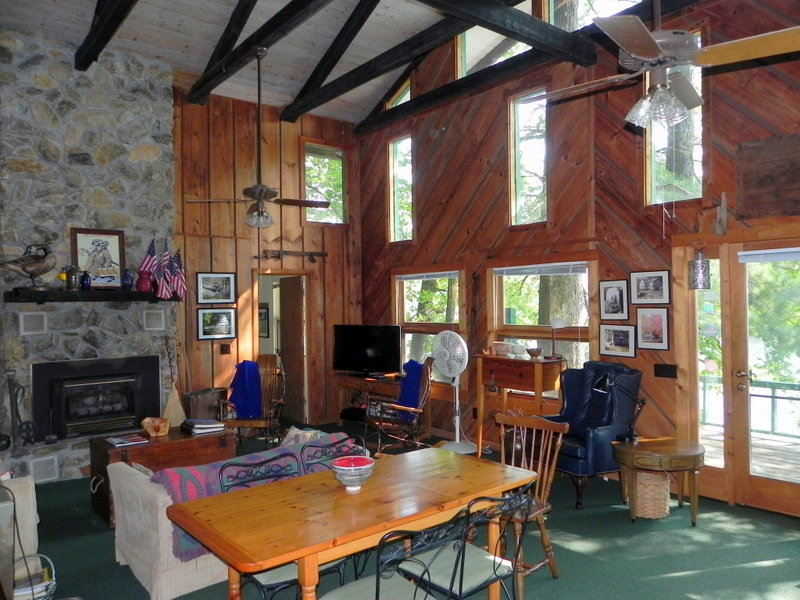 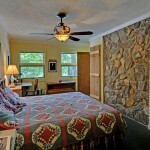 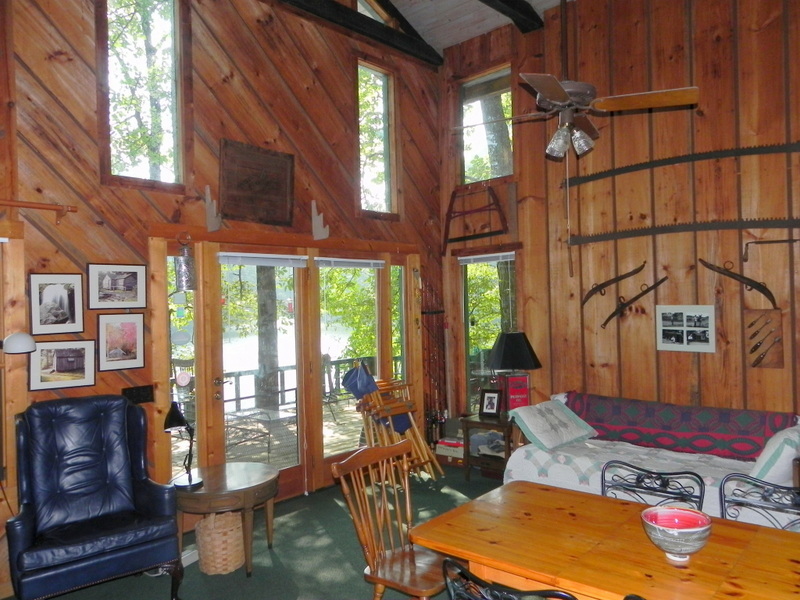 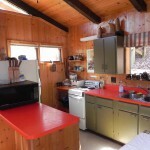 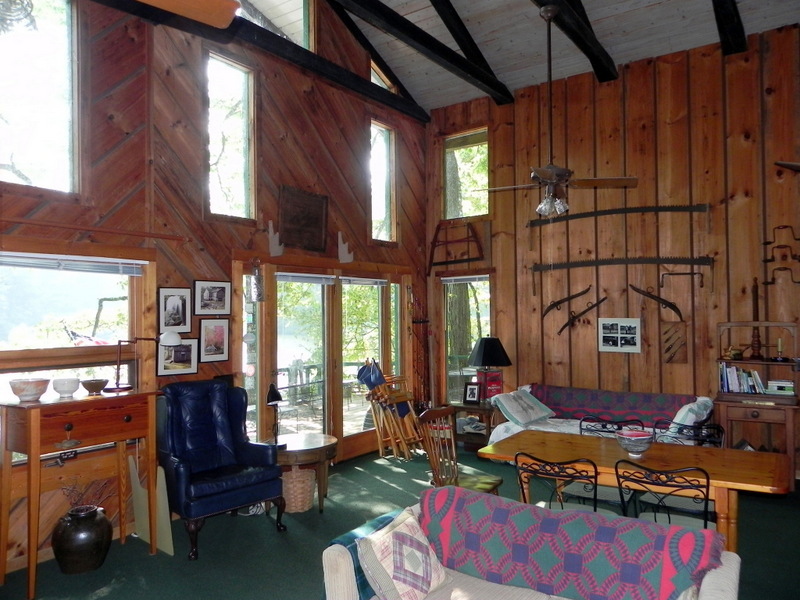 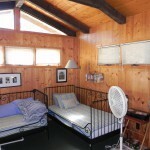 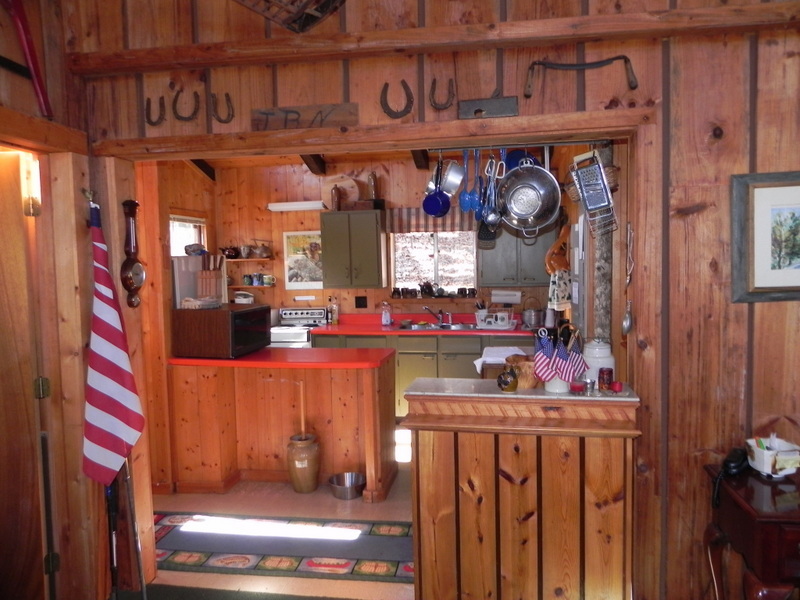 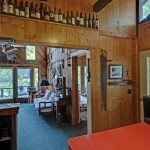 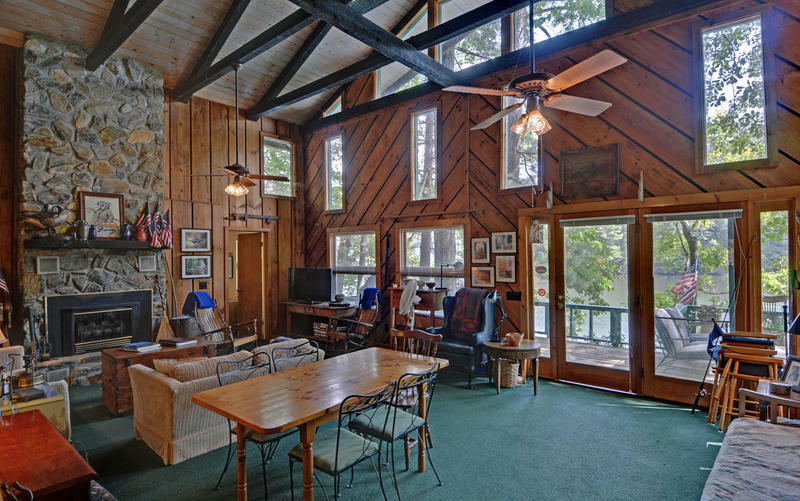 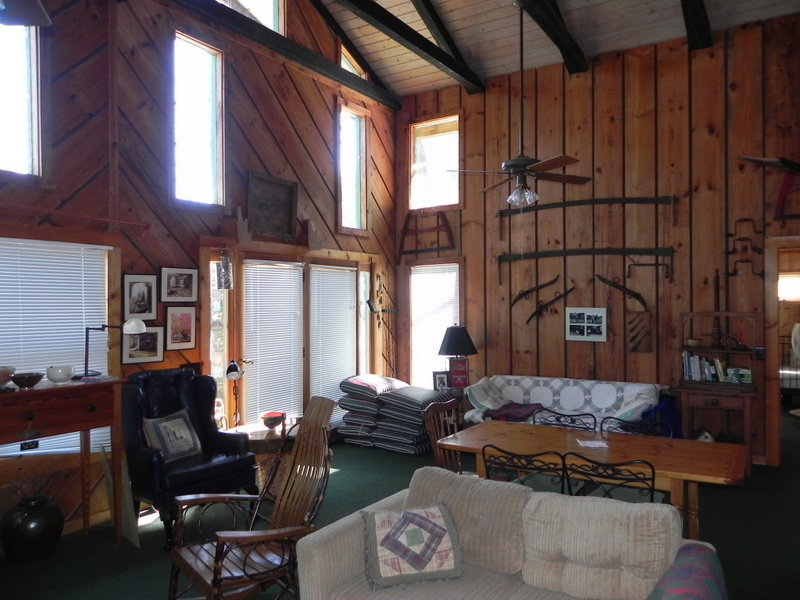 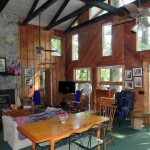 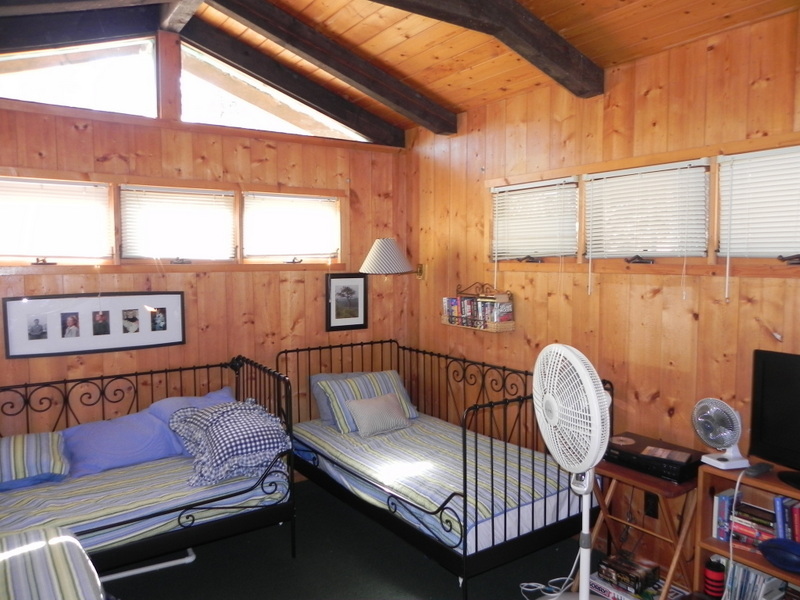 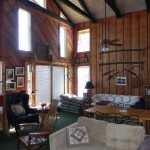 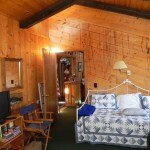 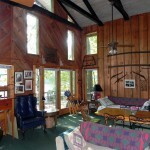 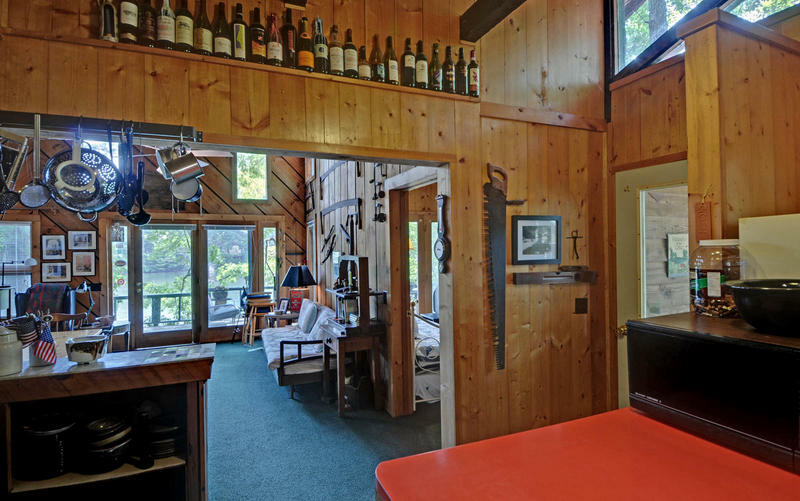 Open plan bright with light from big windows and unspoiled lake and mountain views. 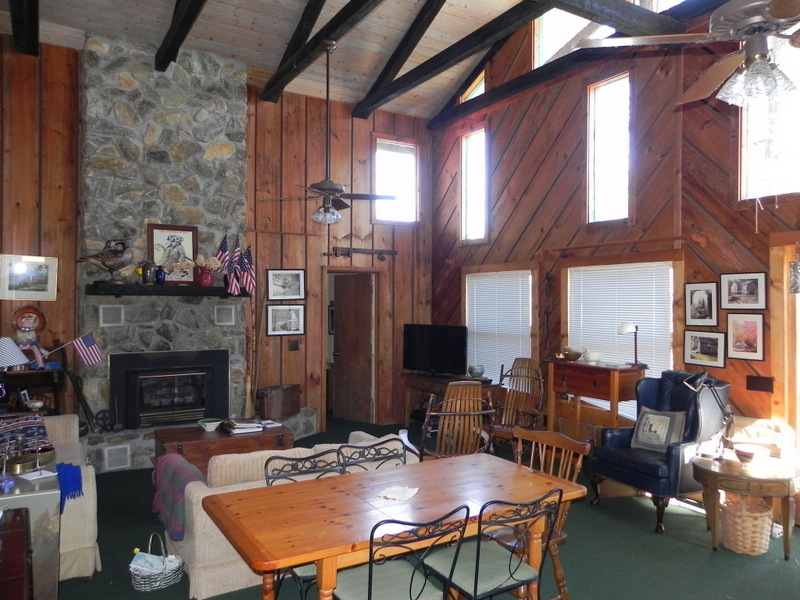 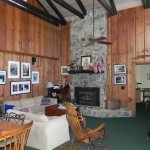 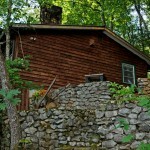 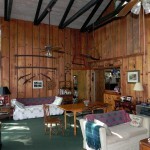 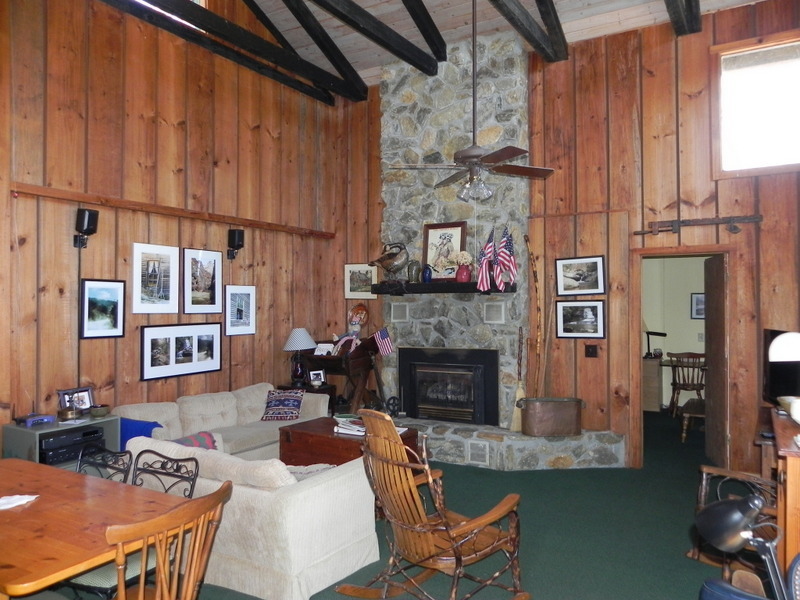 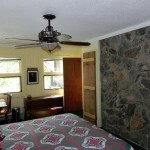 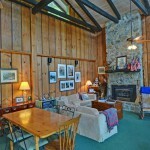 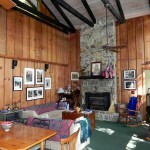 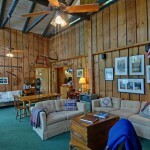 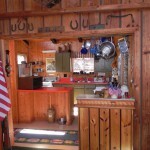 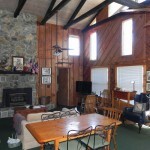 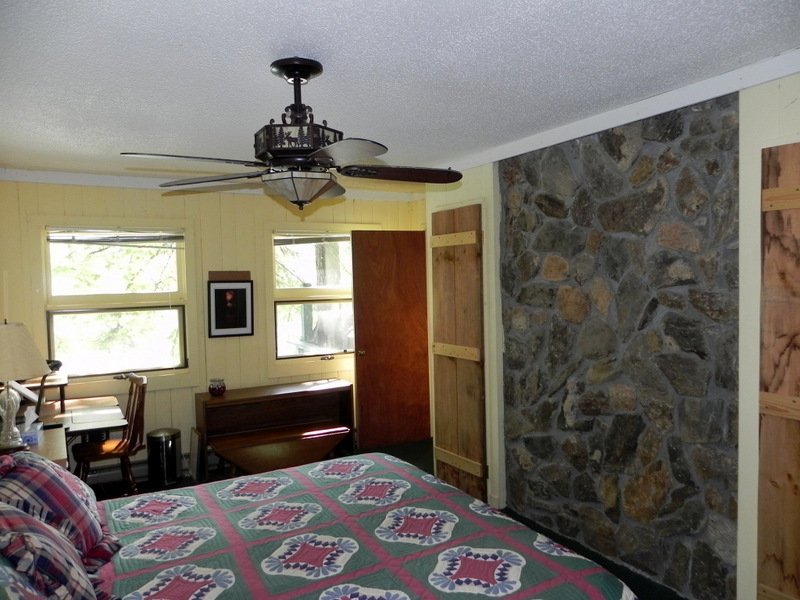 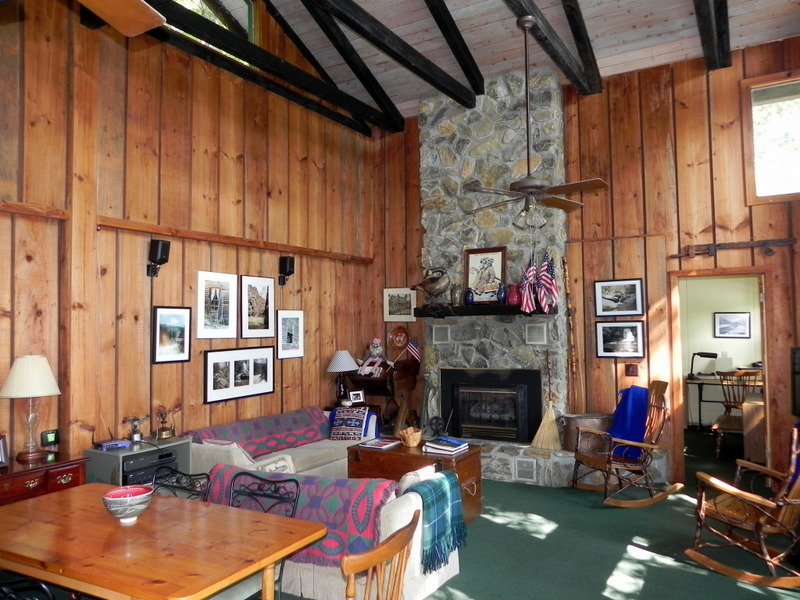 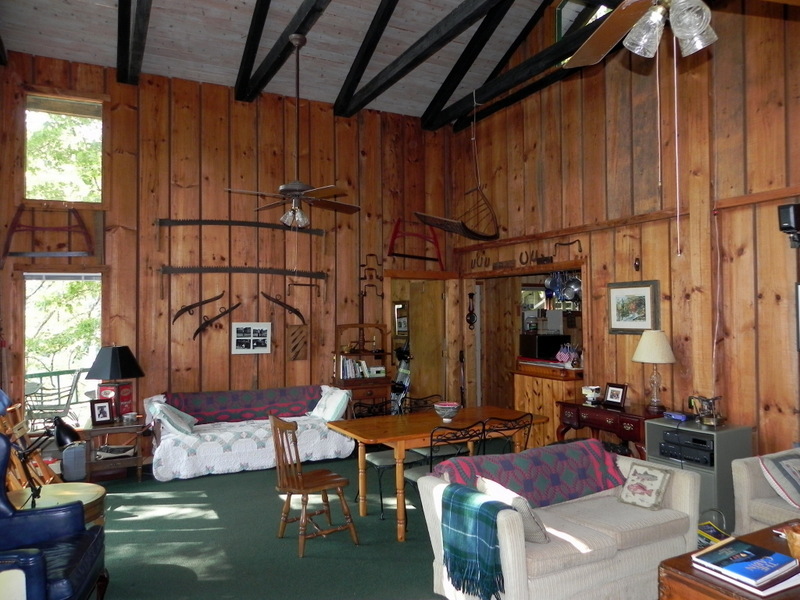 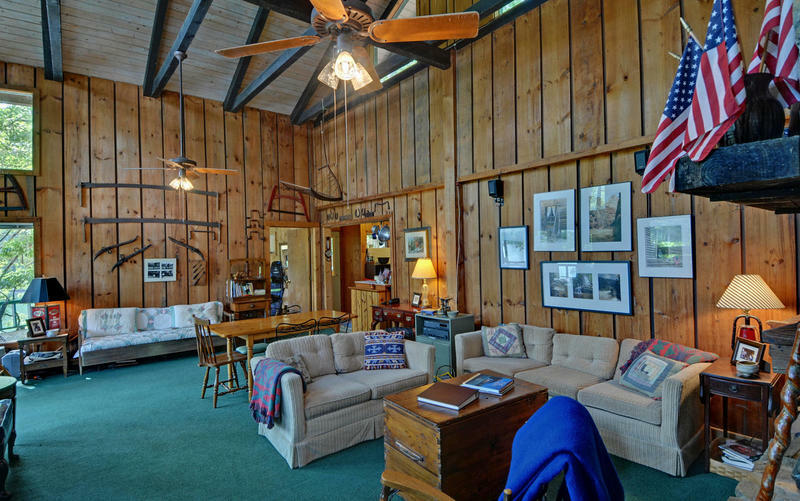 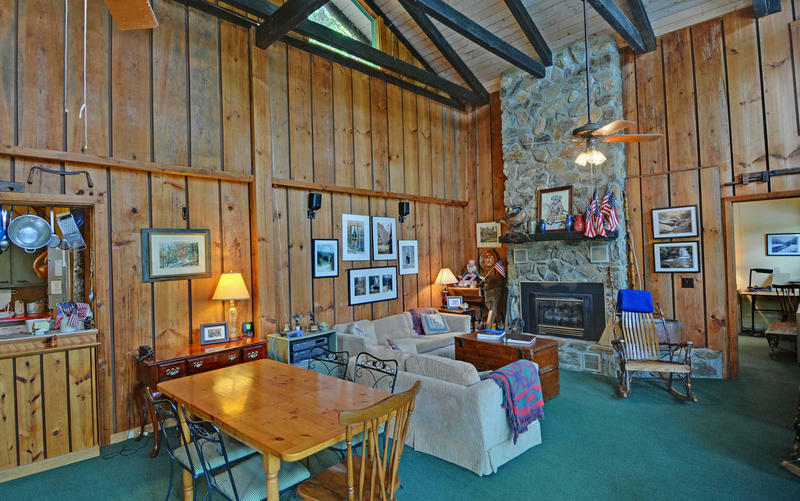 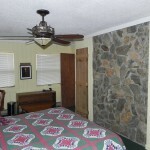 The living room has rough-sawn walls with vaulted beam ceilings and a large stone fireplace. 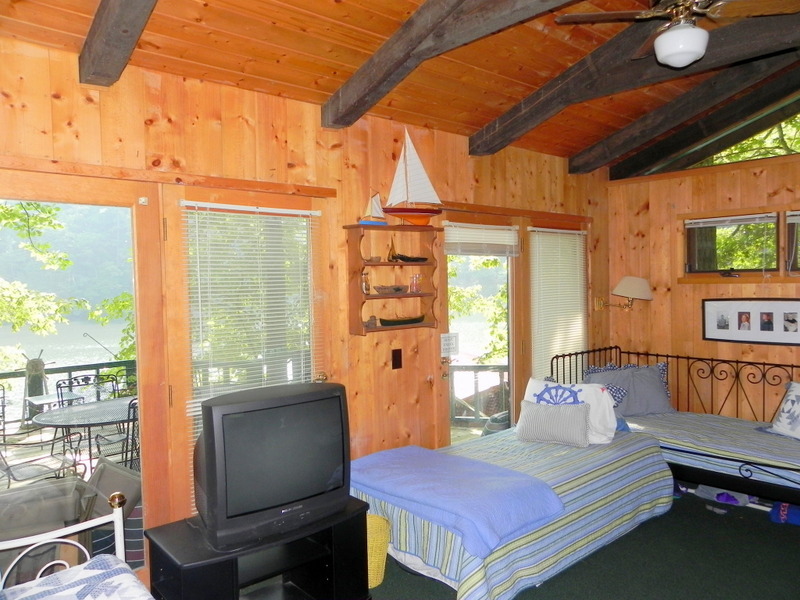 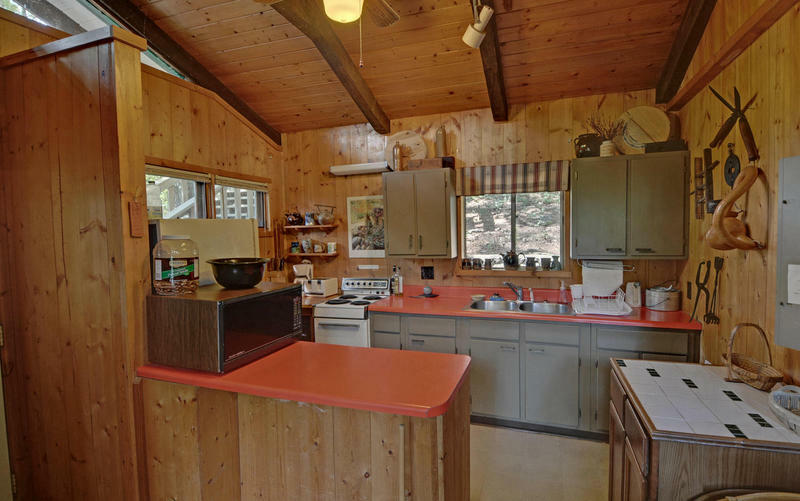 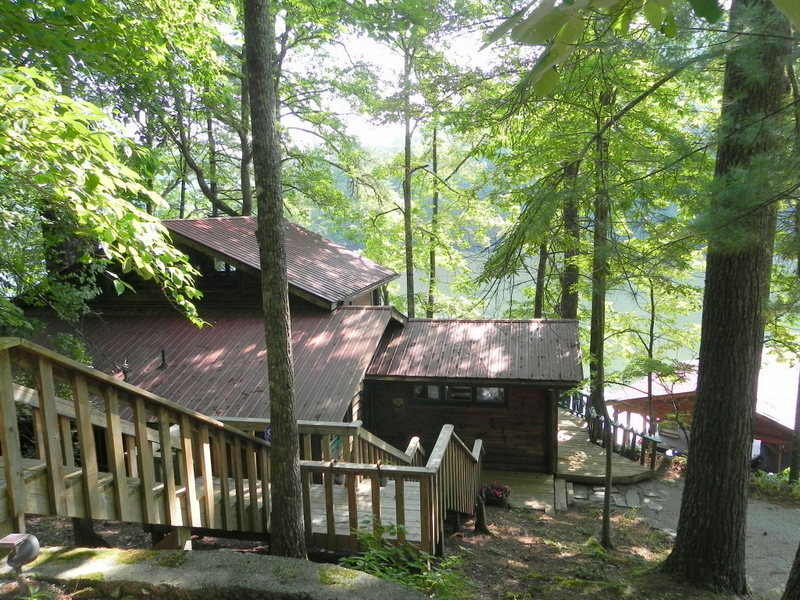 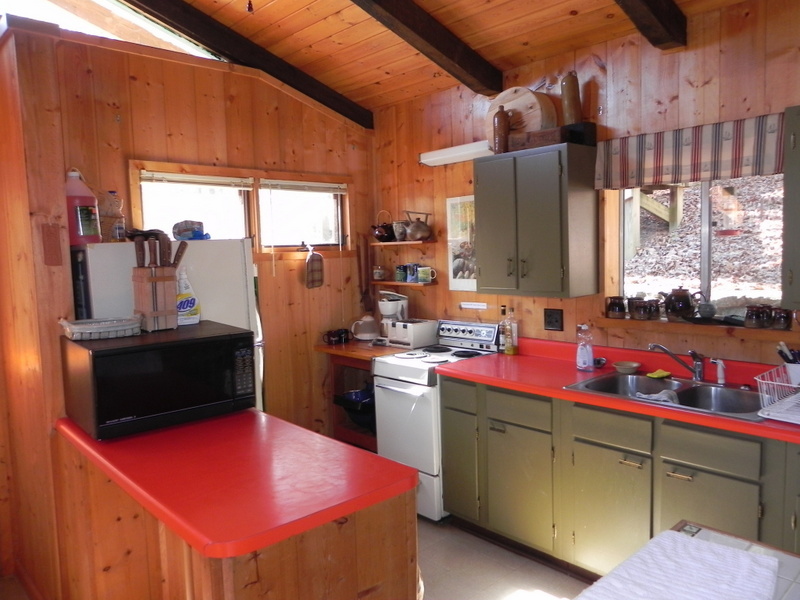 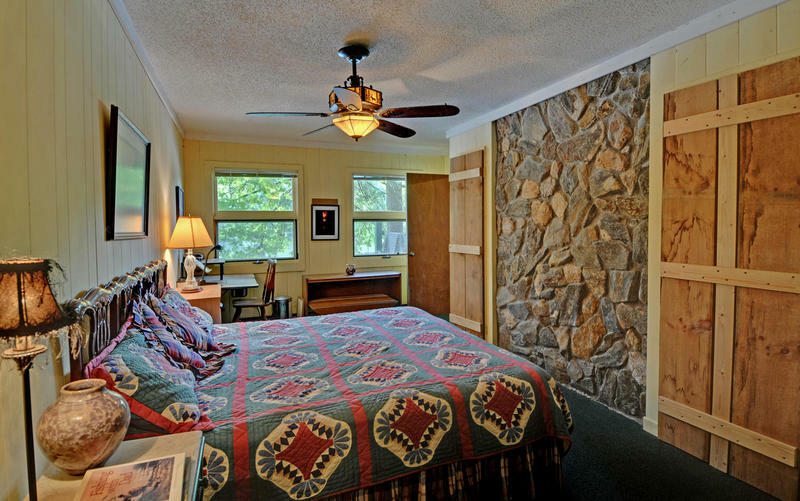 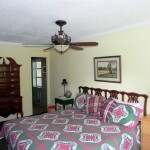 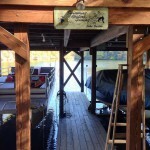 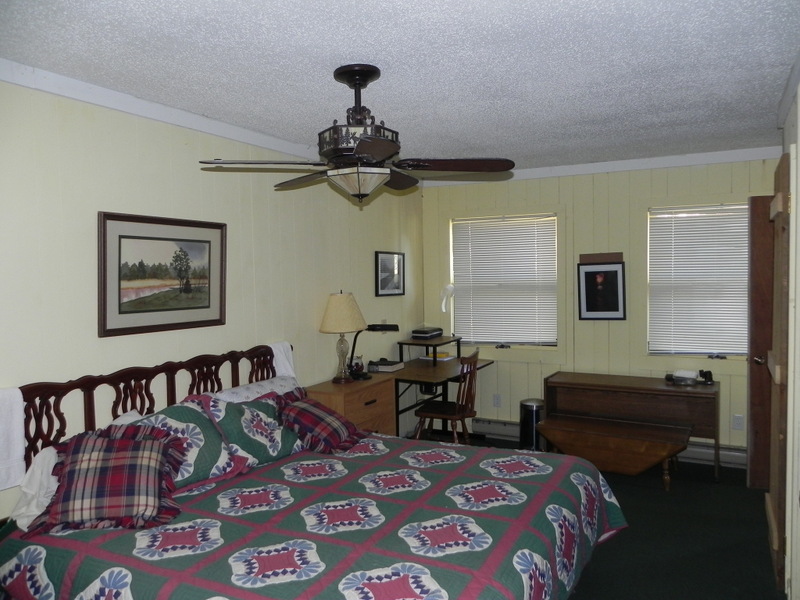 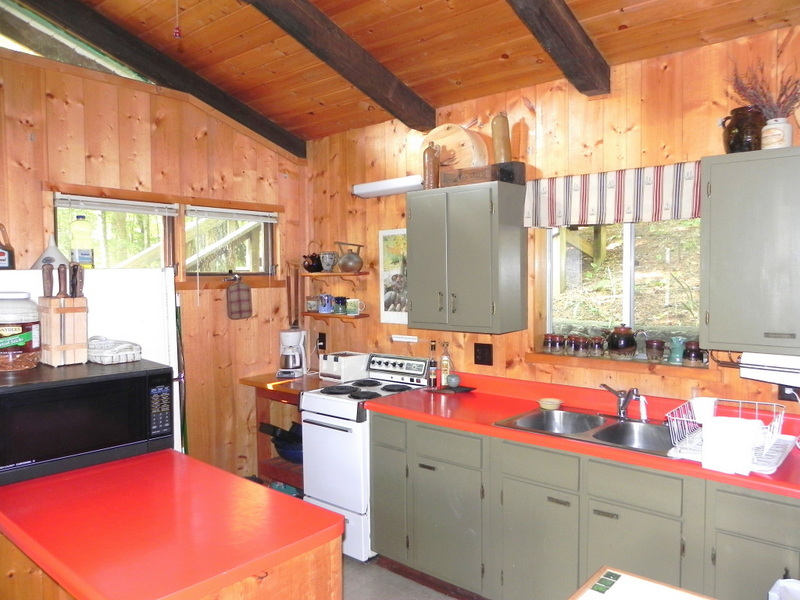 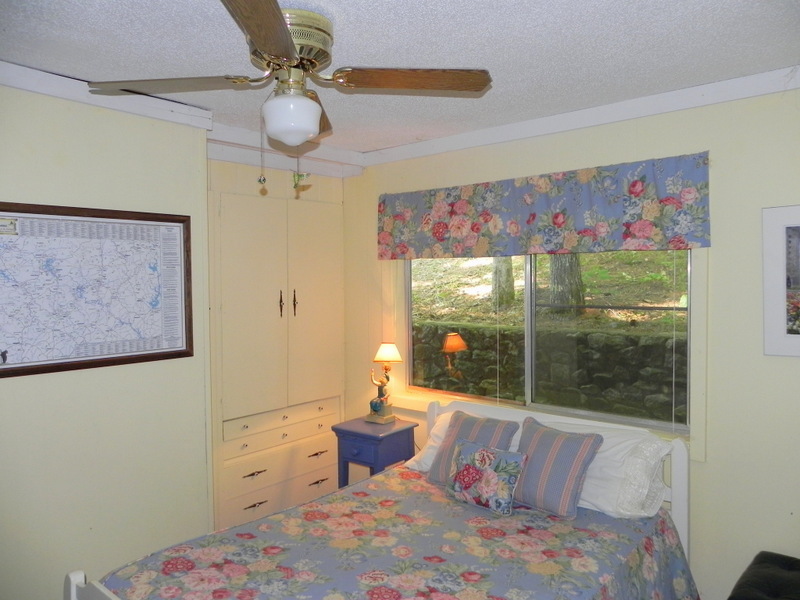 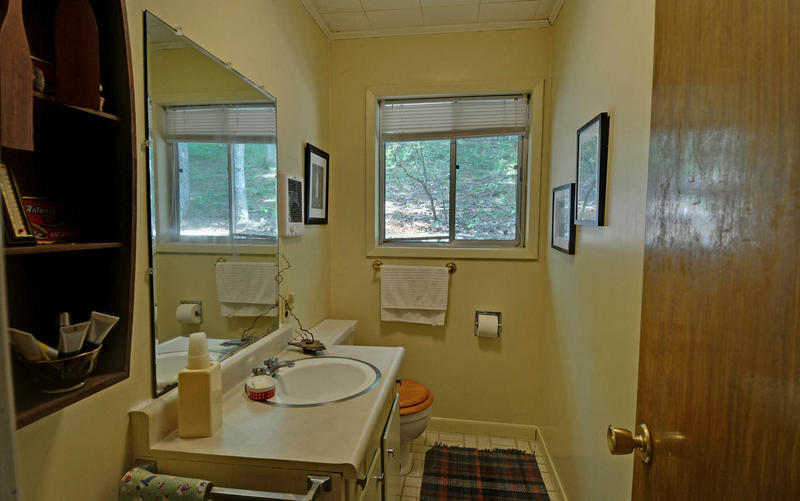 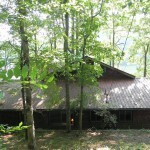 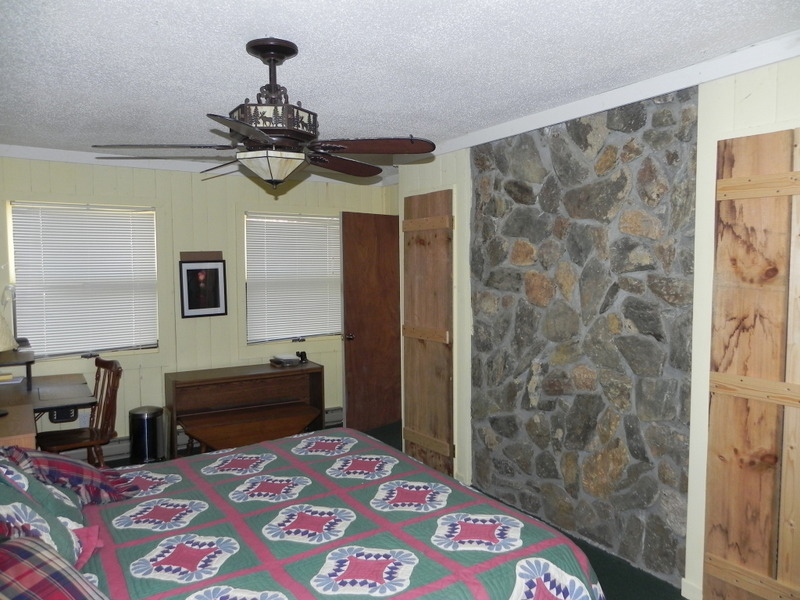 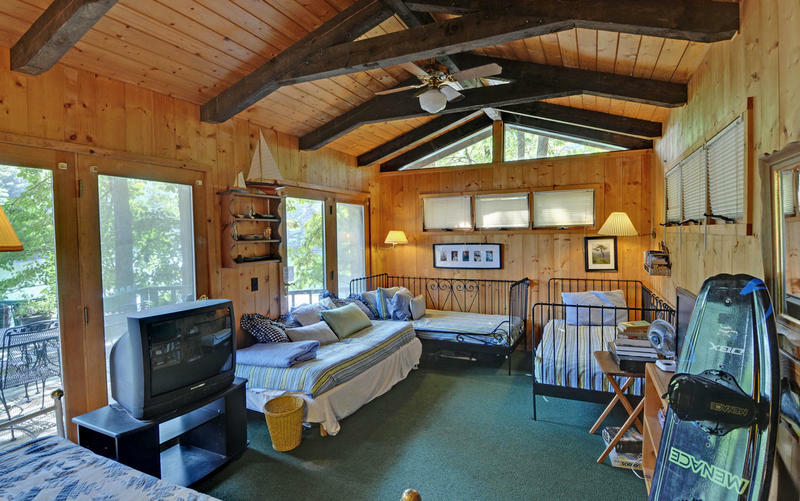 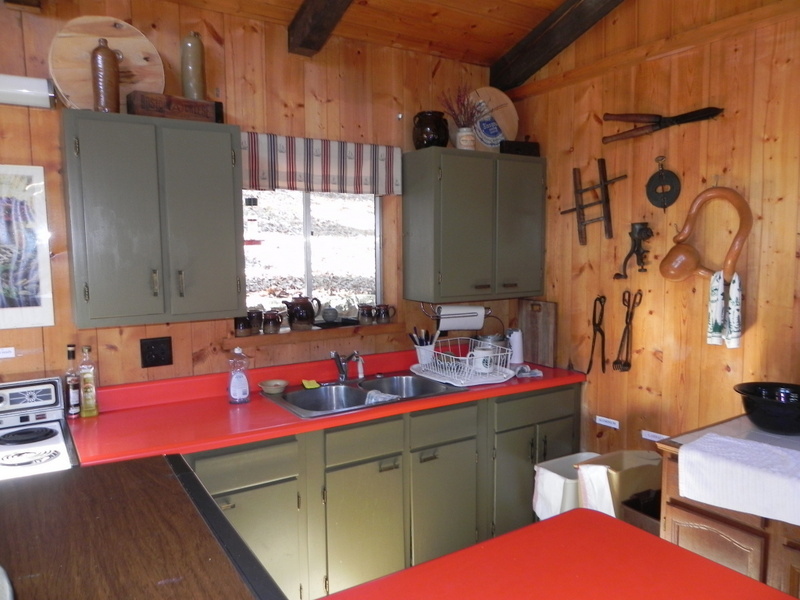 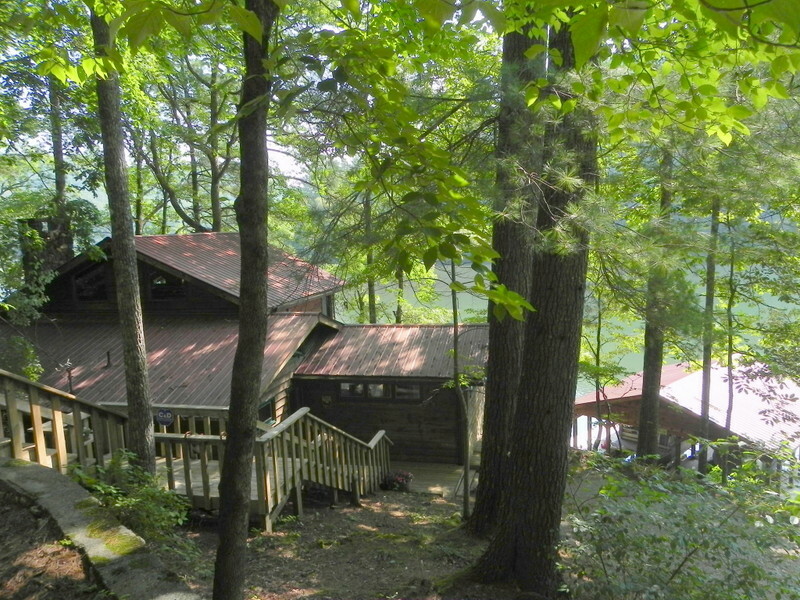 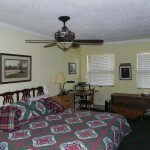 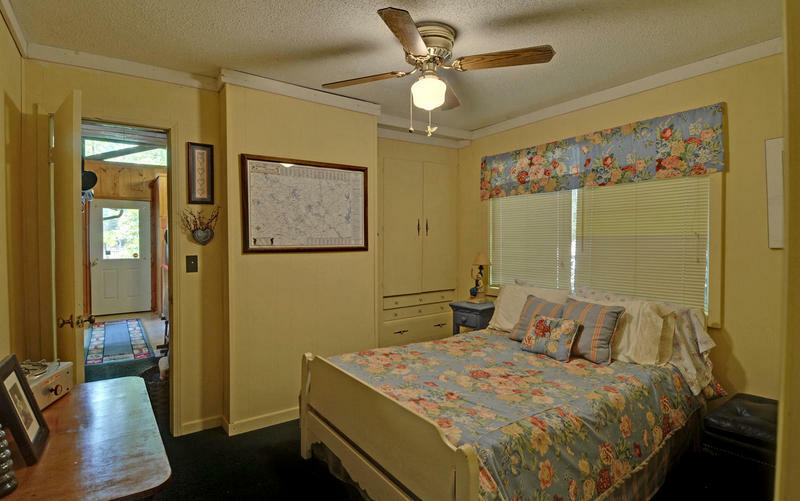 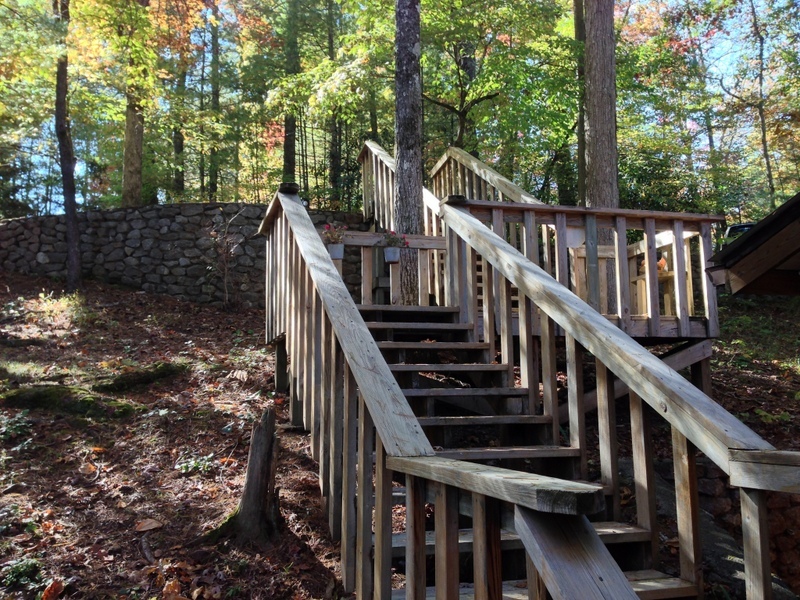 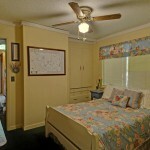 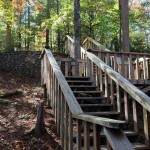 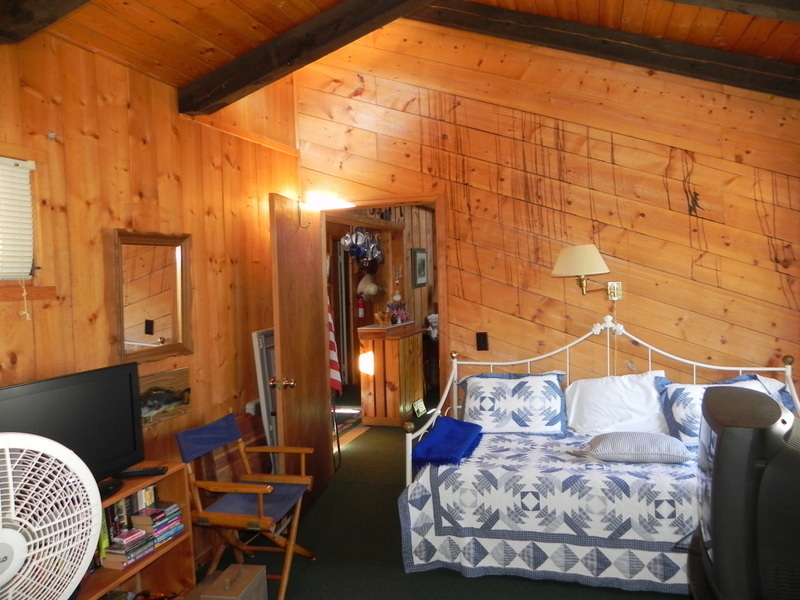 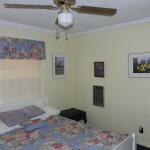 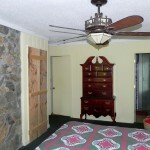 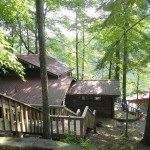 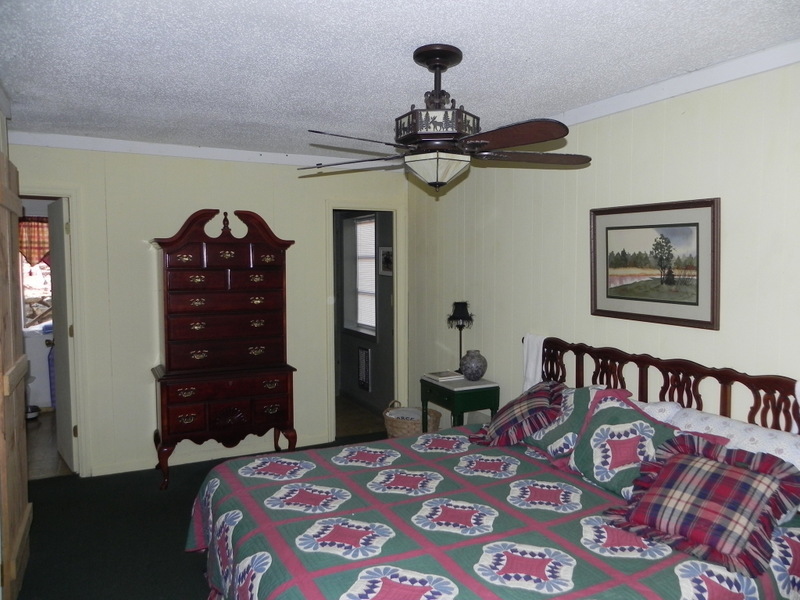 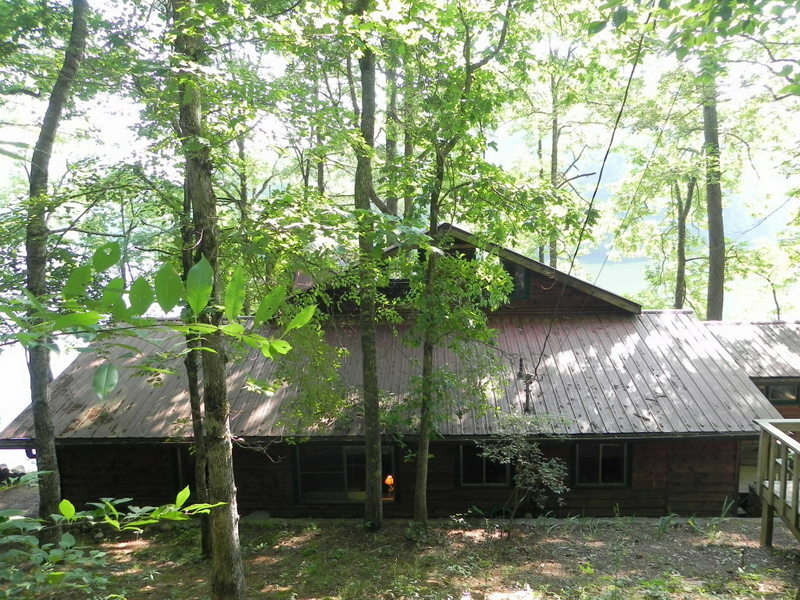 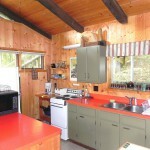 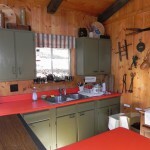 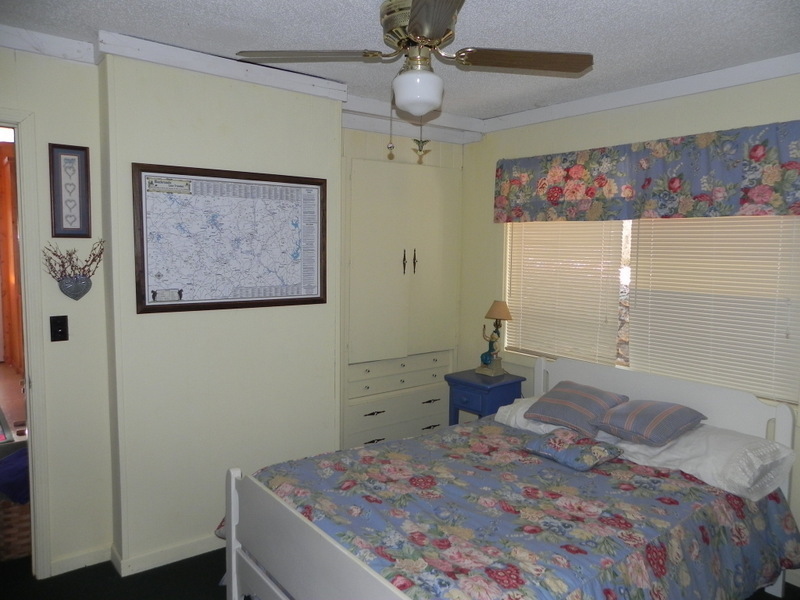 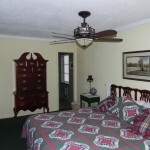 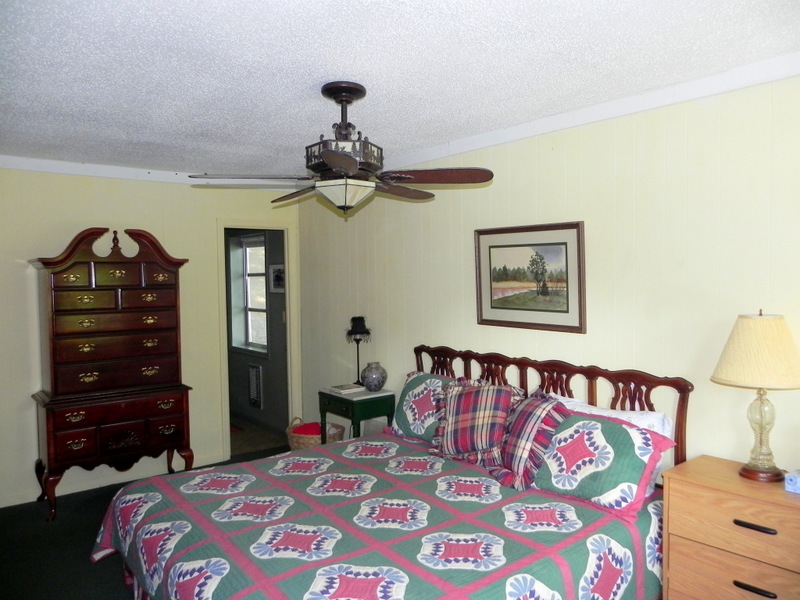 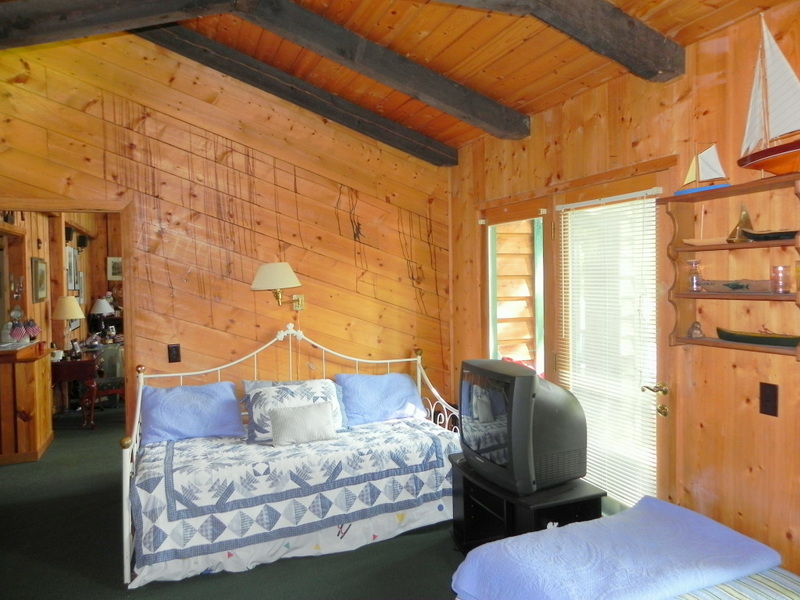 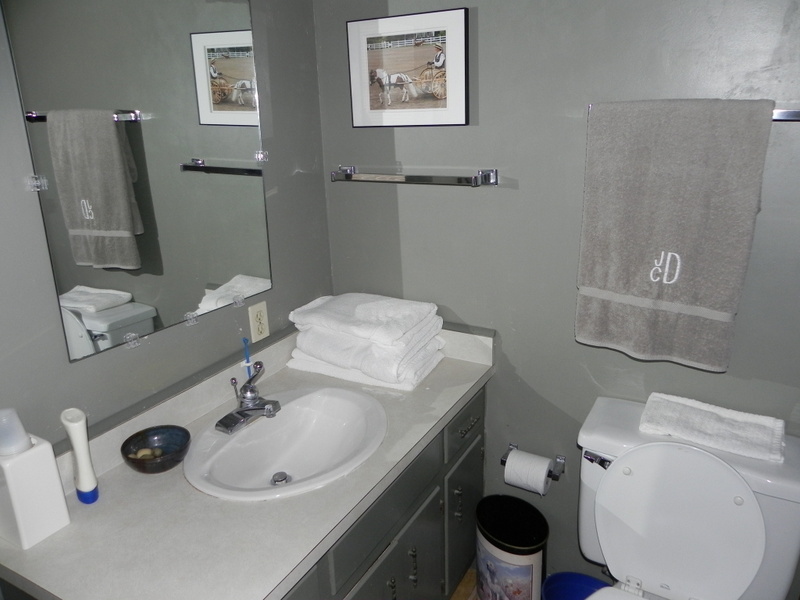 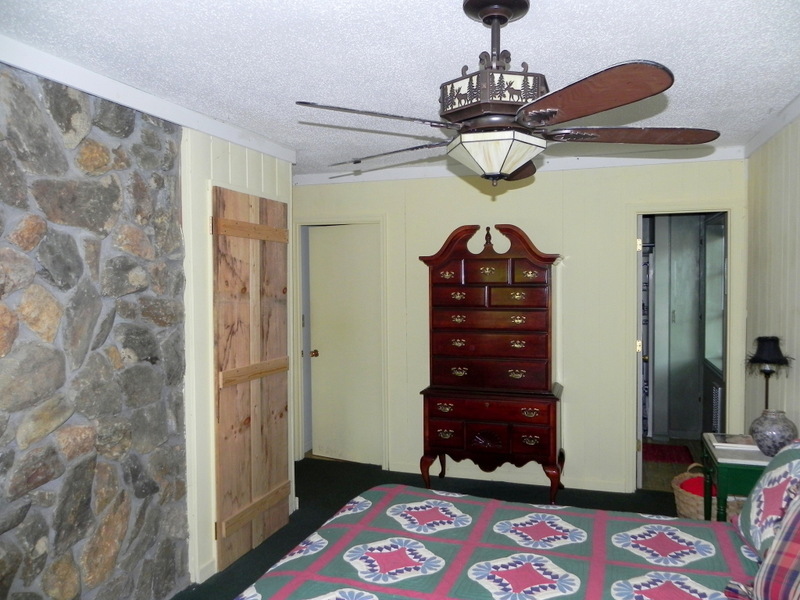 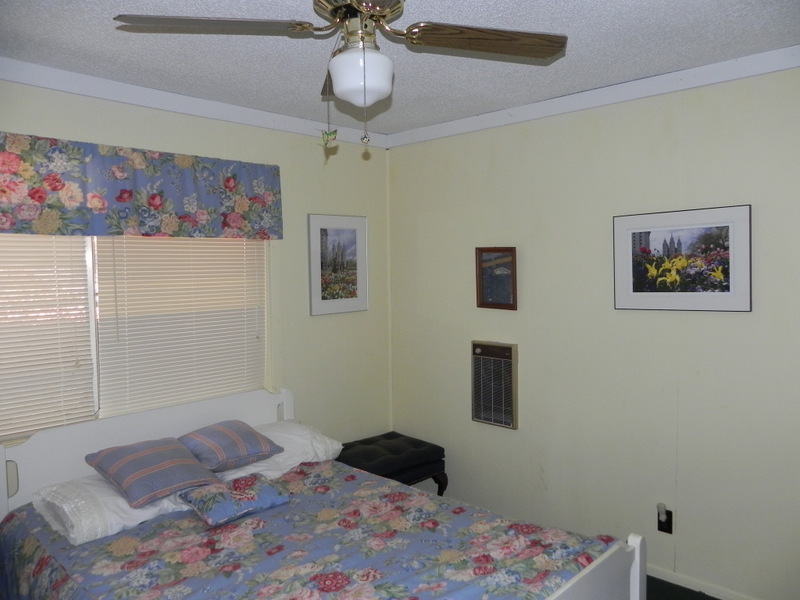 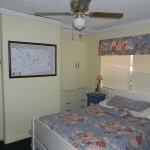 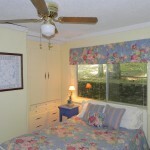 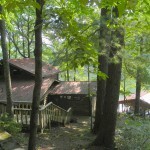 Same level access to the kitchen, wrap-around decks, master, and additional bedrooms. 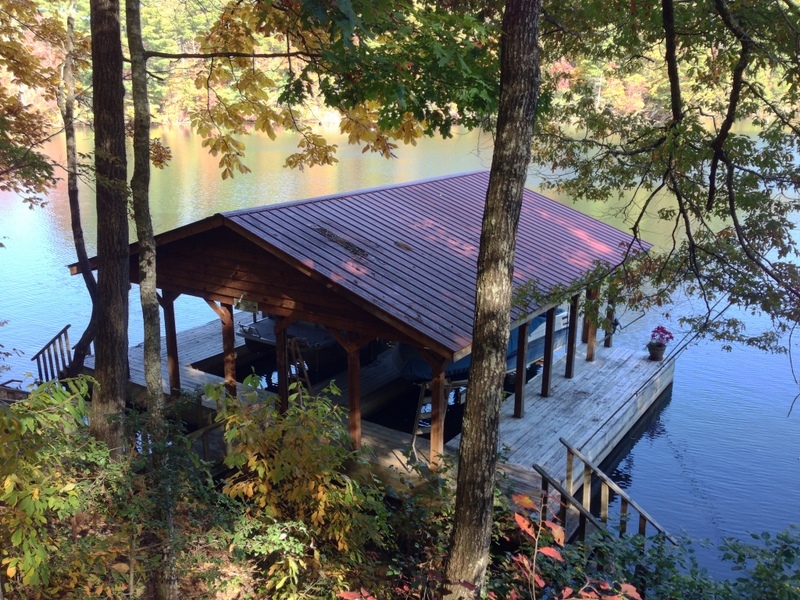 Roof recently replaced with standing seam metal, boathouse with hoists built in 2007, natural landscaping features a terraced garden area, and circular drive provides access to plenty of parking. 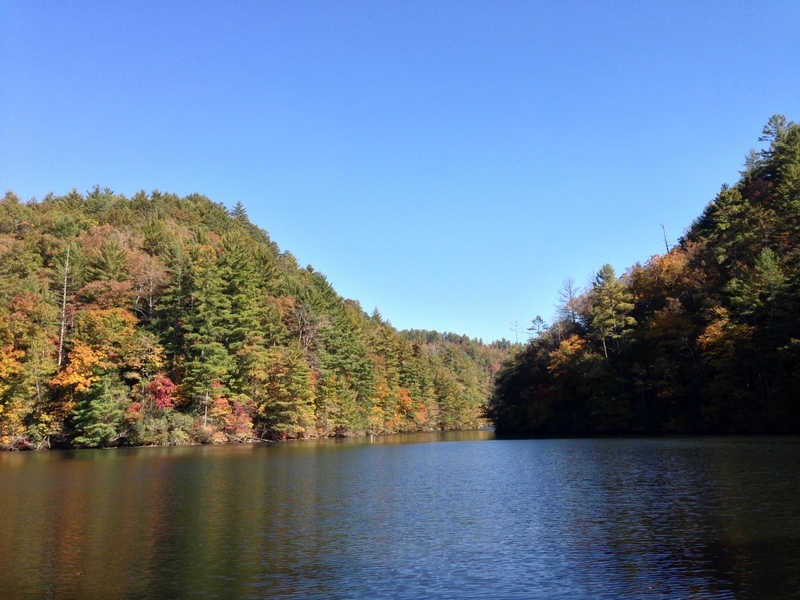 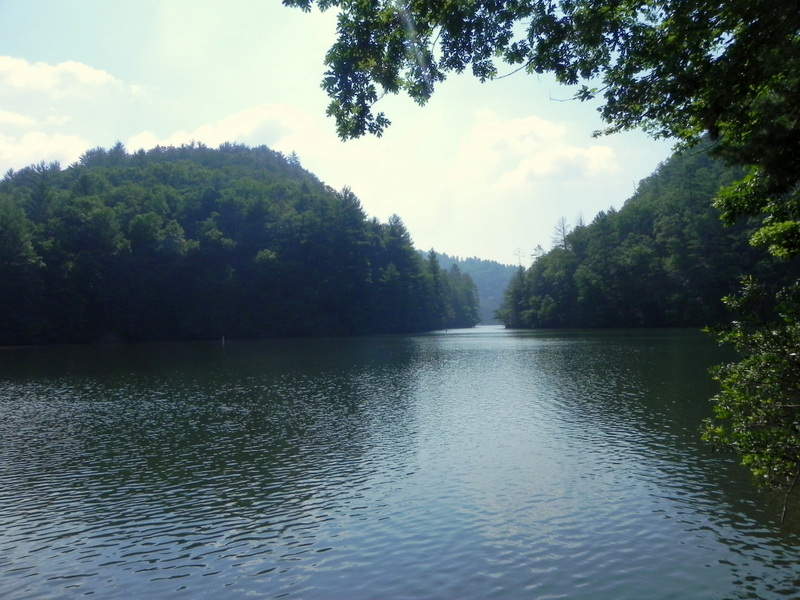 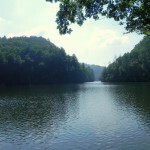 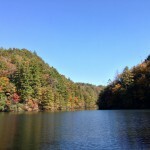 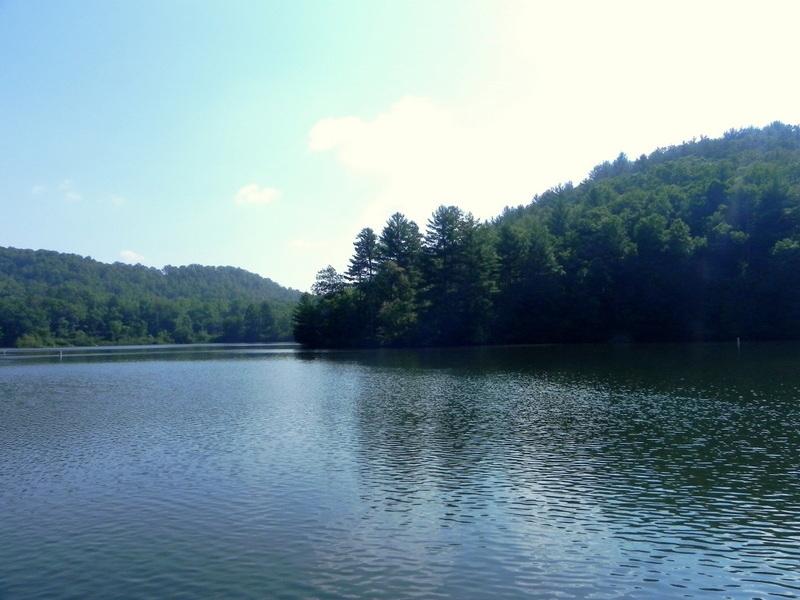 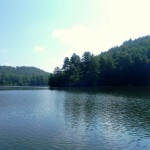 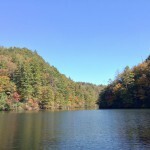 Perfect cove for canoeing, fishing, and paddle-boarding. 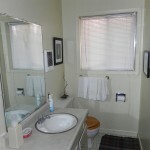 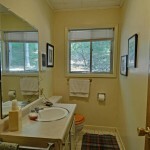 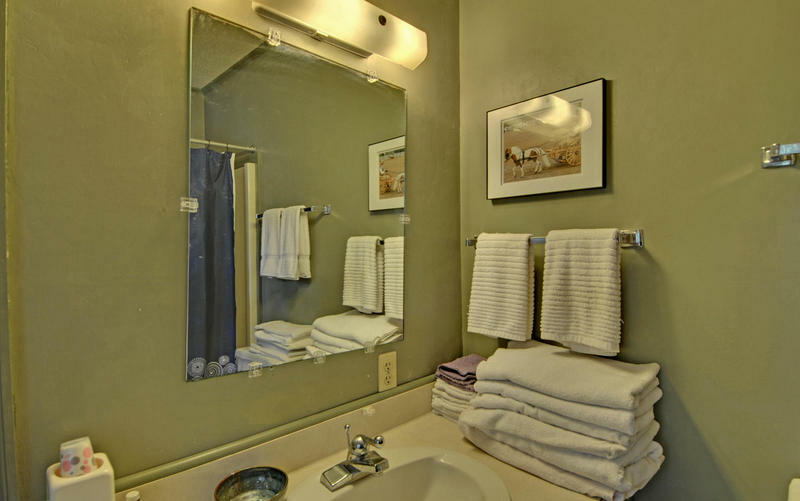 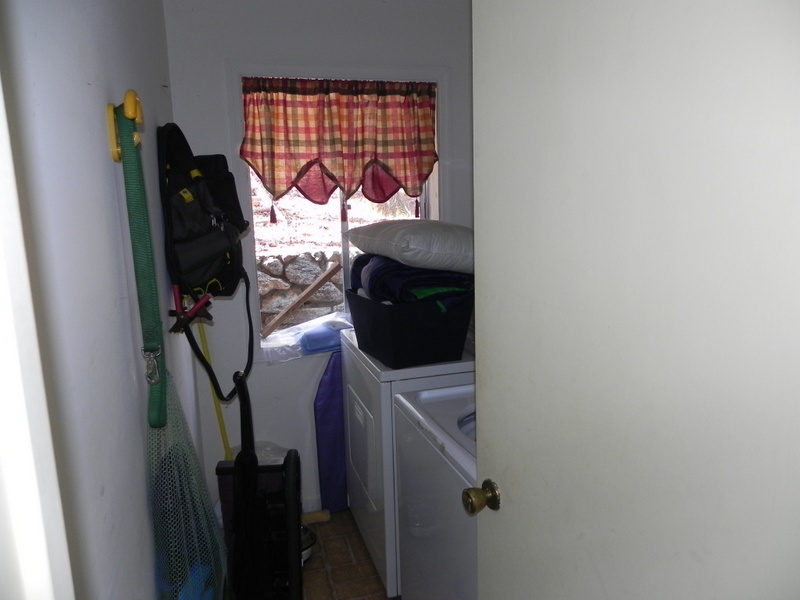 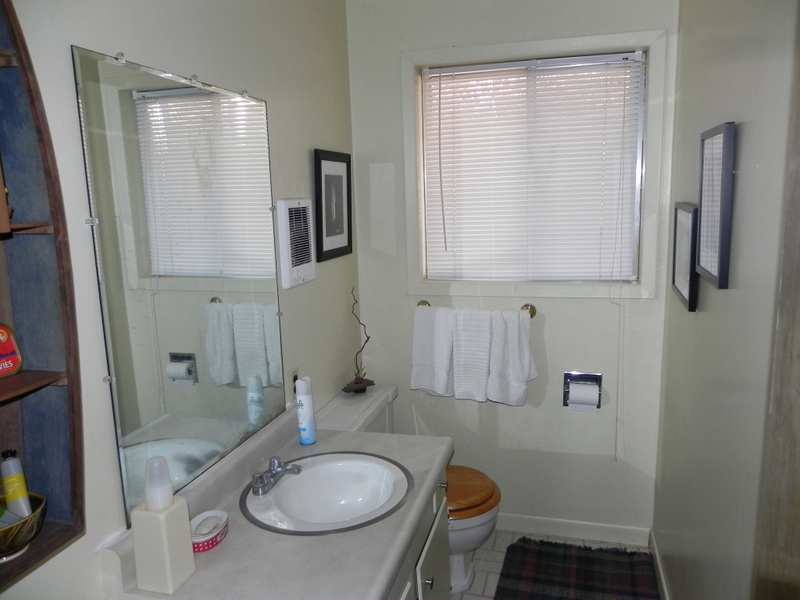 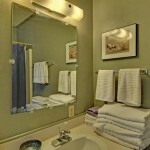 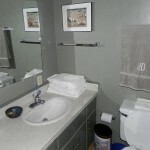 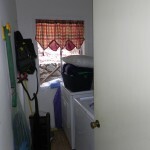 This home is good to go as-is, make some updates and it’s excellent, lot is above average.